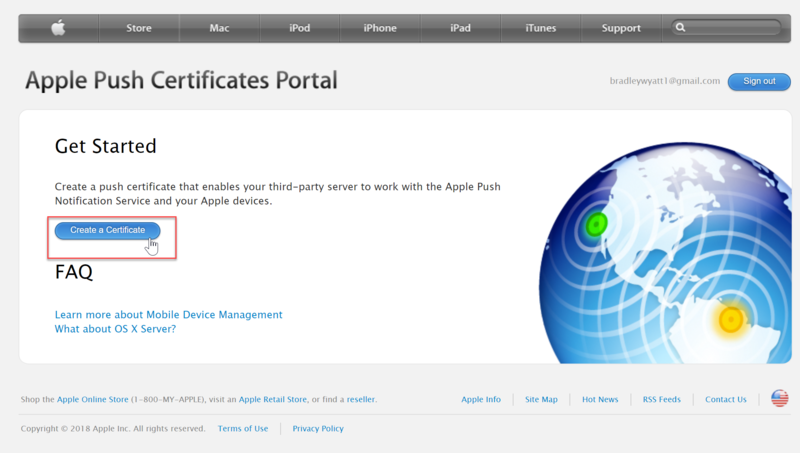 To manage iOS devices you must have an Apple Push certificate. 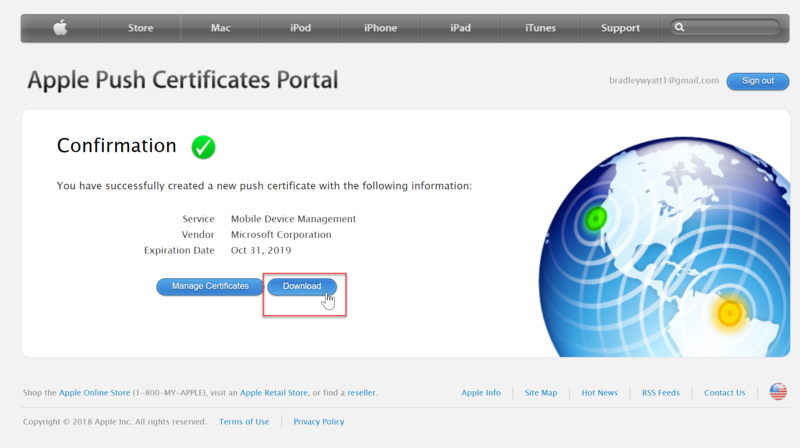 Now click “Create a Certificate” after you have successfully signed into the portal with your Apple ID. 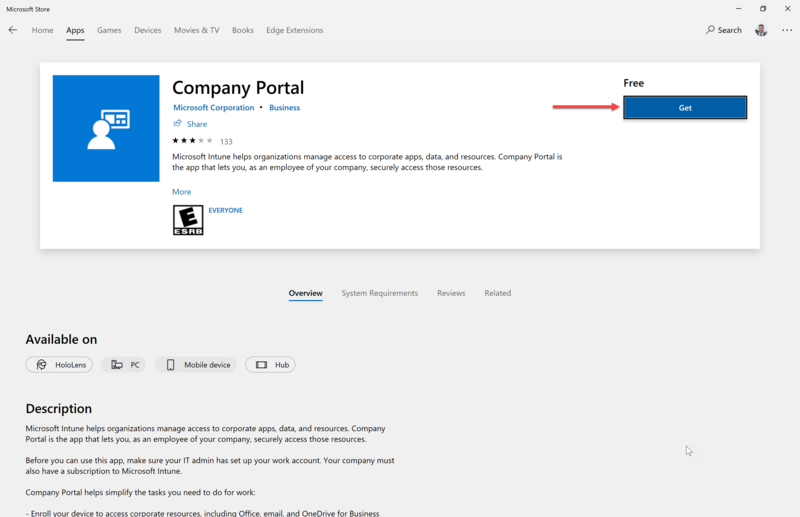 The company portal is a web page and a mobile device application that supports BYOD users. 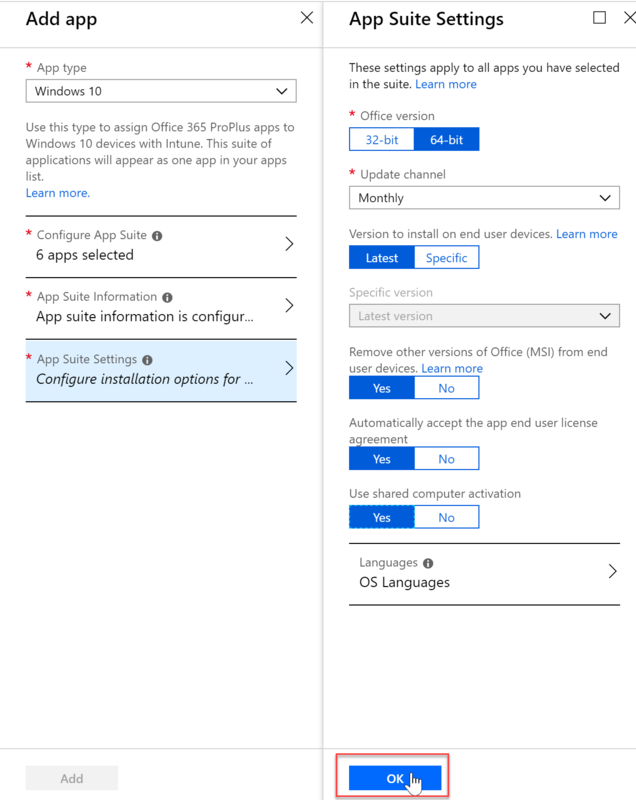 It gives them a centralized location to install published applications, self management, and retrieve information. 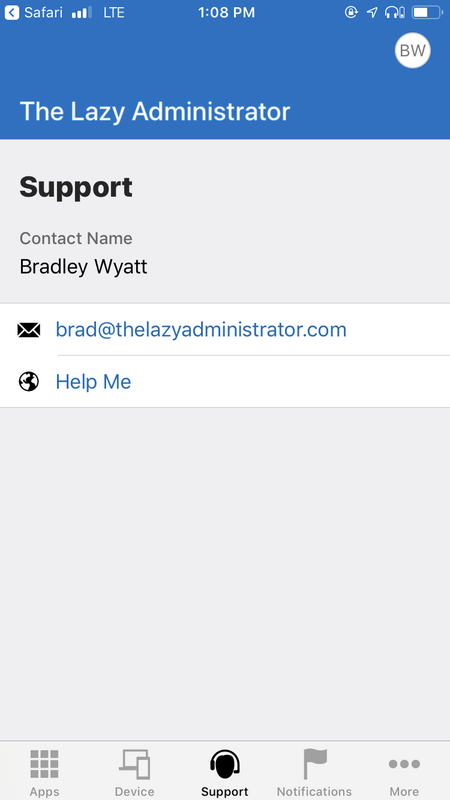 On the iOS Company Portal application under support you can see the email and website we specified for help. 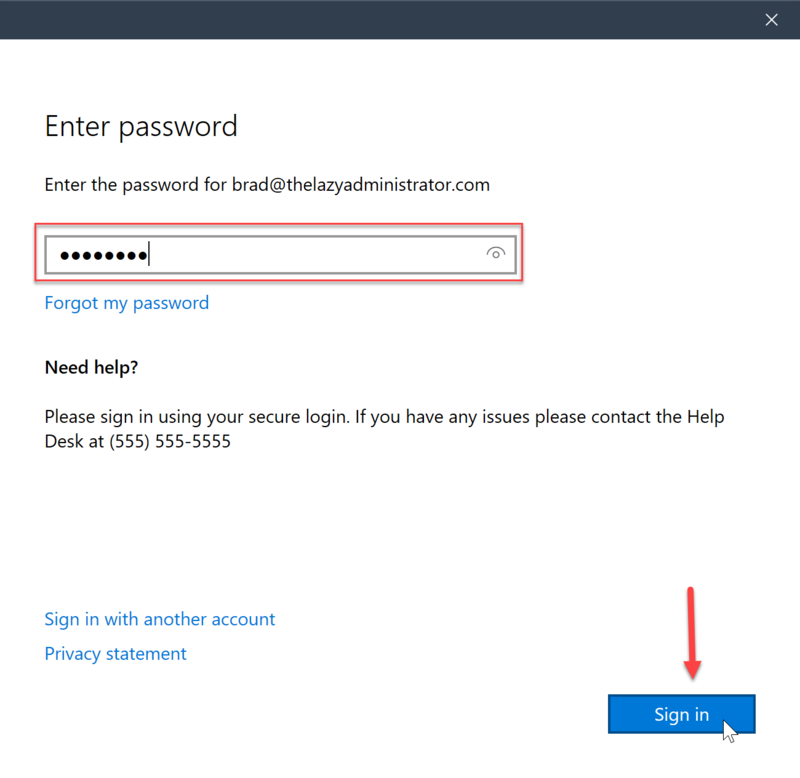 This is handy for end users as they have a very simple and clear way to contact you or your IT team. 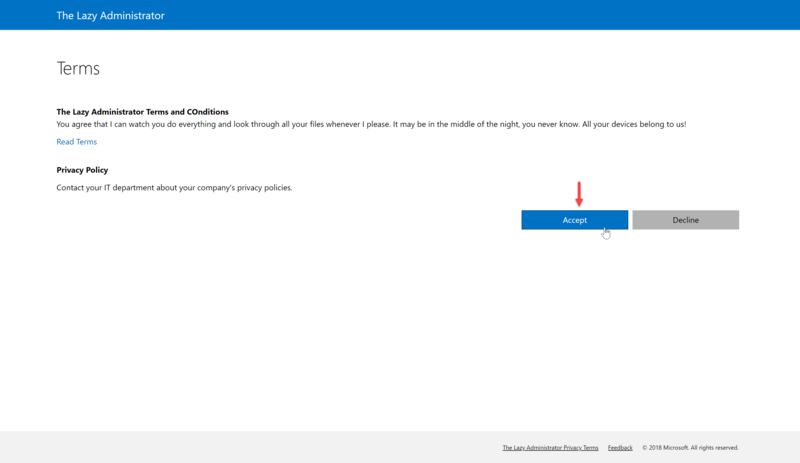 The Terms and Conditions can be prompted to users prior to them accessing the Intune Company Portal. 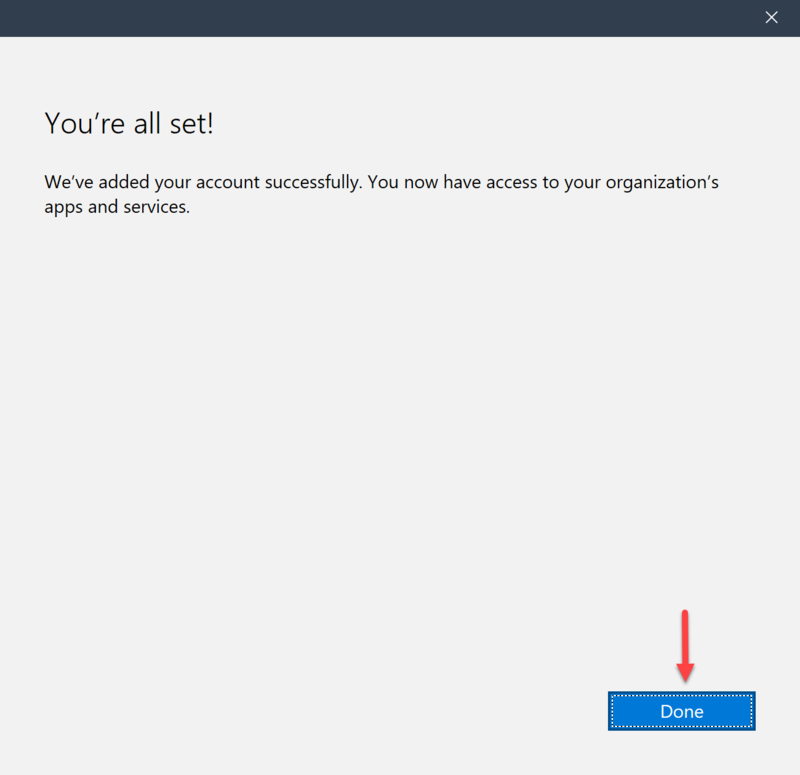 In the Azure Intune portal you can configure your policies, apply to users or groups, and review the acceptance reporting. 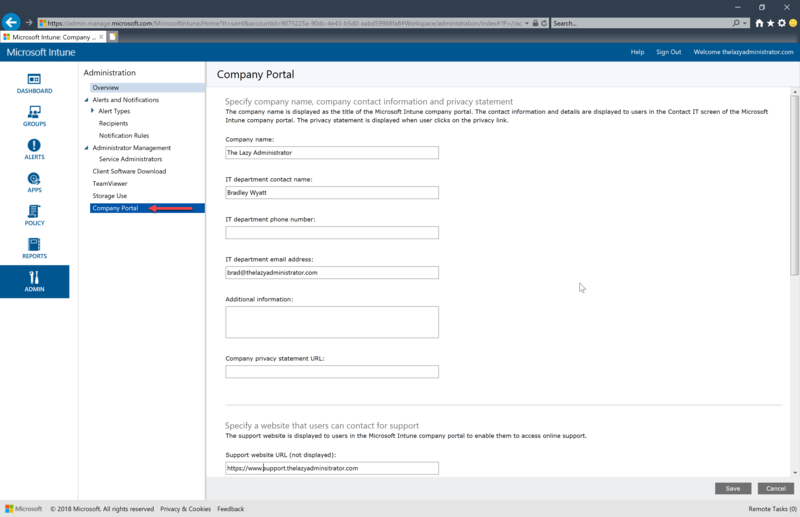 Next time you or your users log into the Company Portal they will be greeted with the Terms and Conditions that were assigned to them. 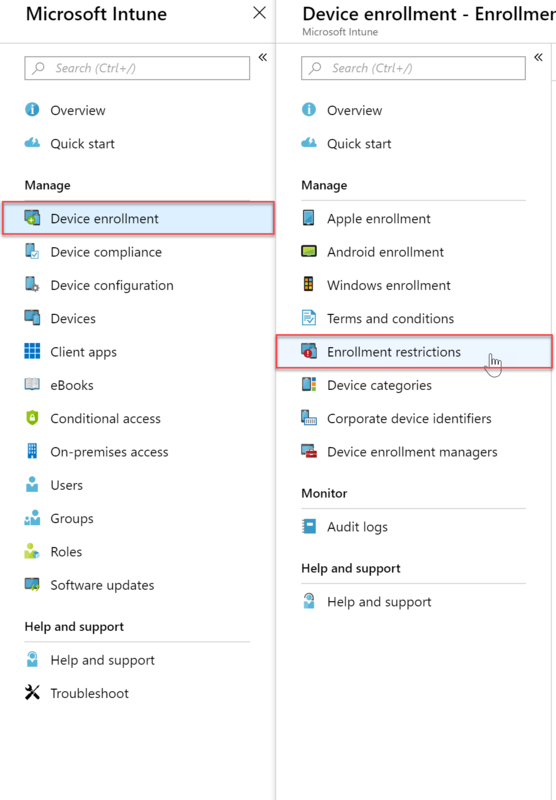 The default amount of devices a regular users can enroll into Intune is 5 unless you have granted the user to be a Device Enrollment Administrator (above). 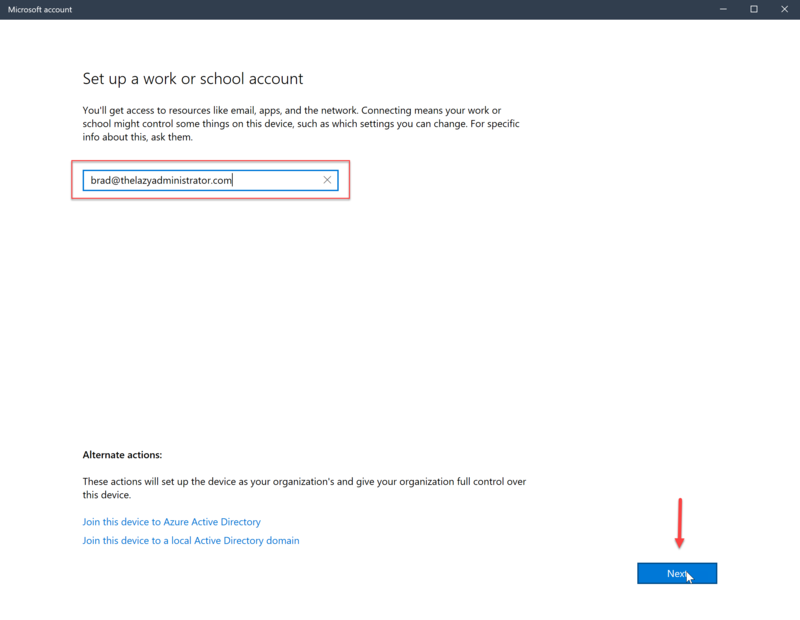 You can also change the default amount for users in the Portal. 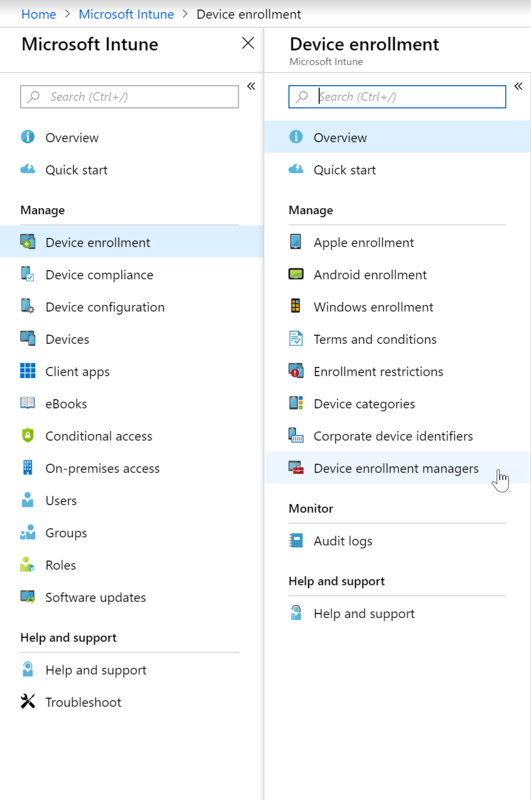 Use Microsoft Intune device categories to automatically add devices to groups based on categories that you define. 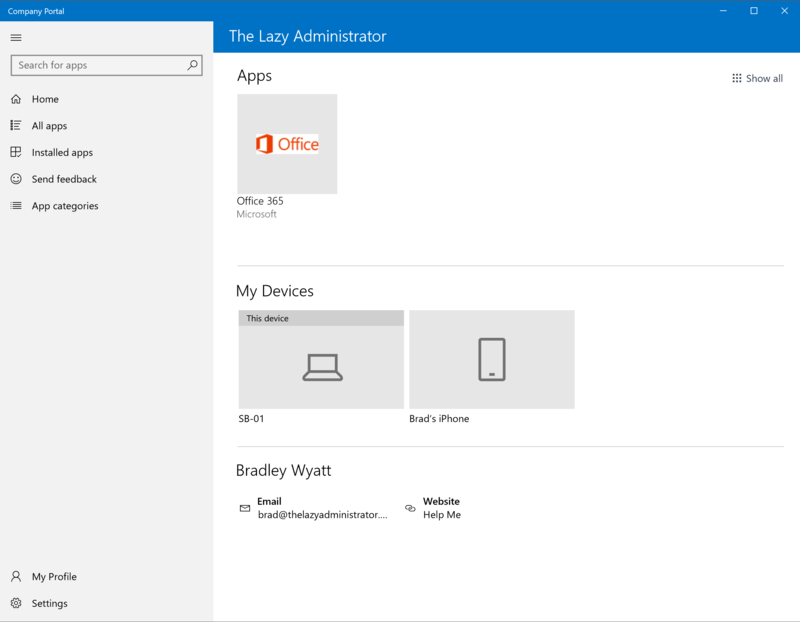 This makes it easier for you to manage those devices. 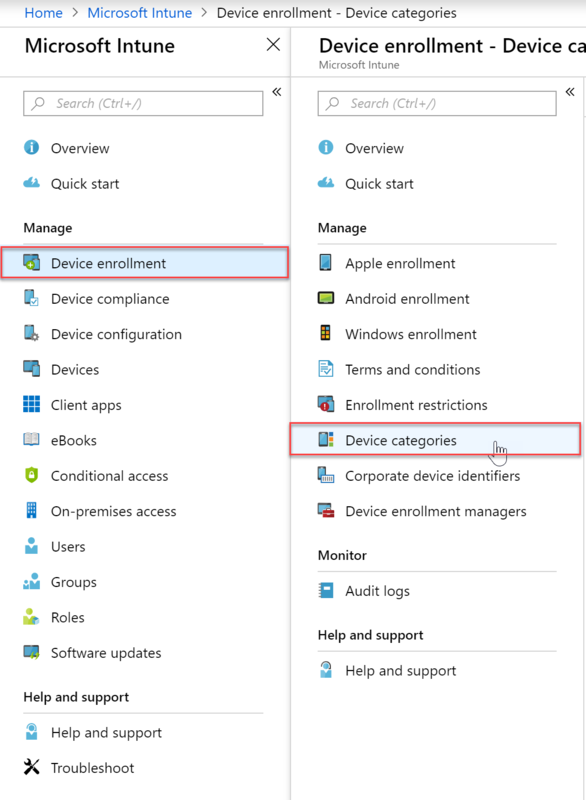 In my example I am going to create two (2) device categories. 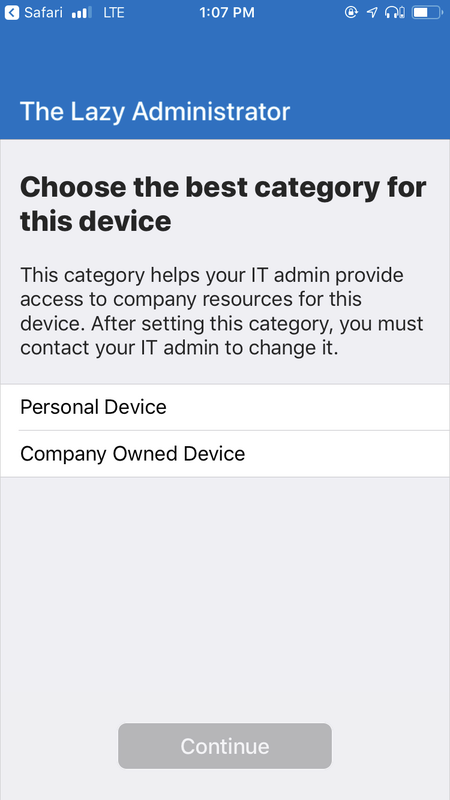 One category is for BYOD devices, or personal devices. 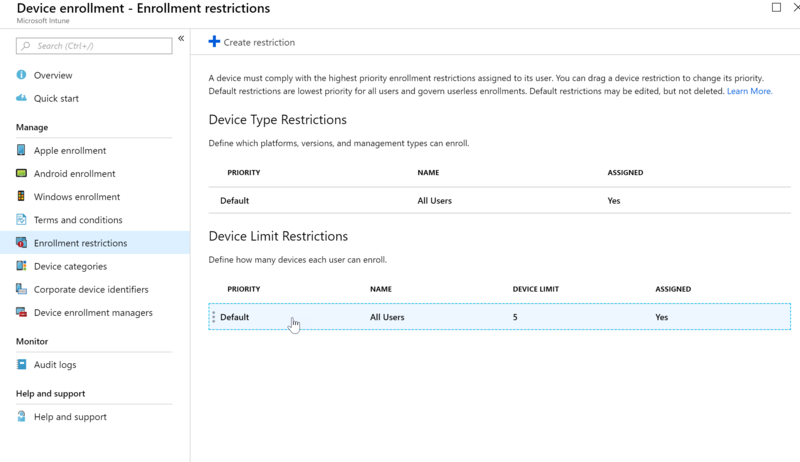 These will be devices that end users own but may use them for work. 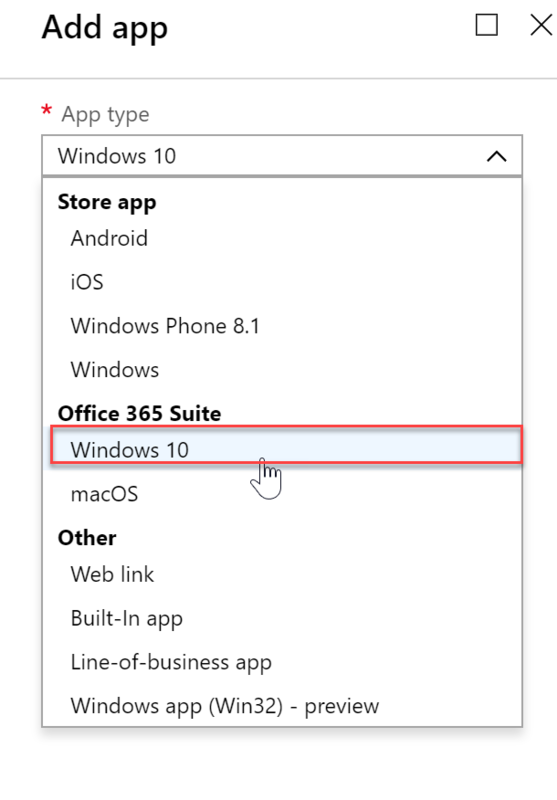 The other category will be Company Owned Devices. 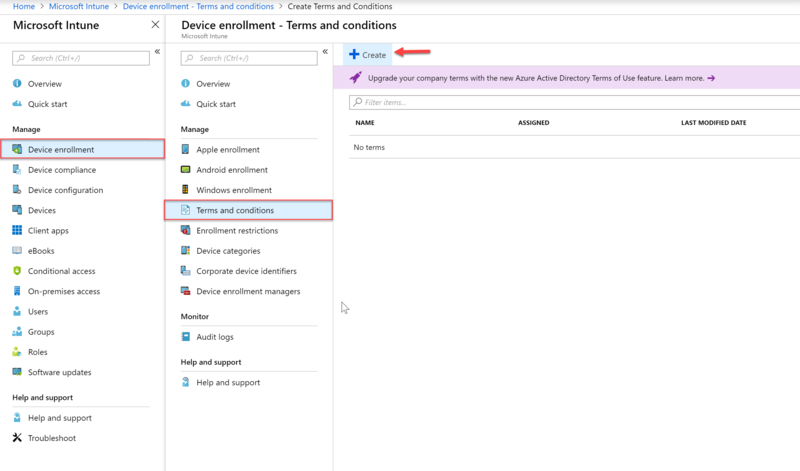 These devices are purchased by the company, and given to the end users through the IT department. 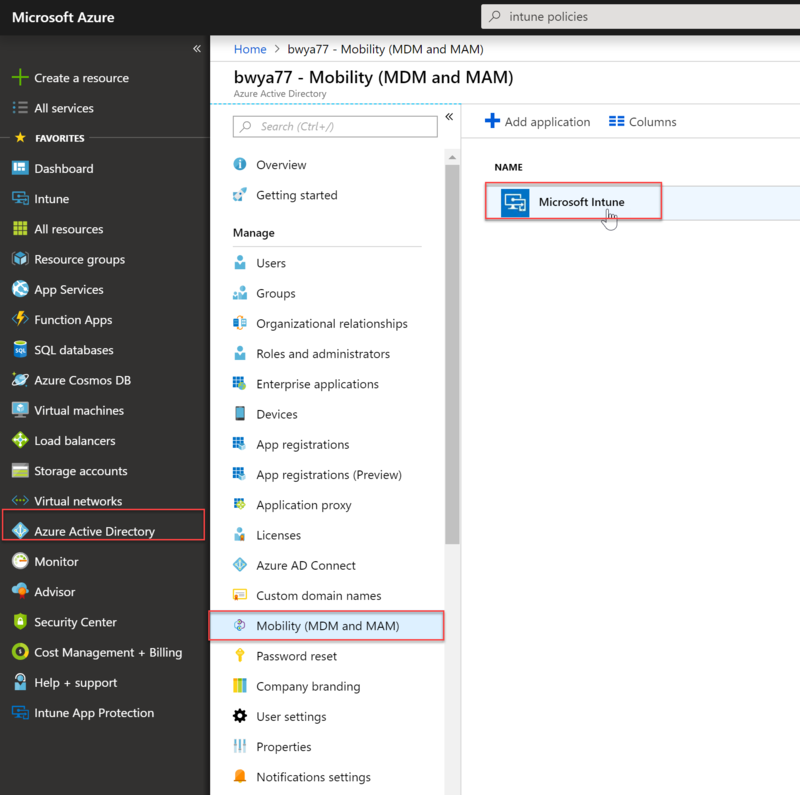 In the Azure Portal, expand the Intune blade. 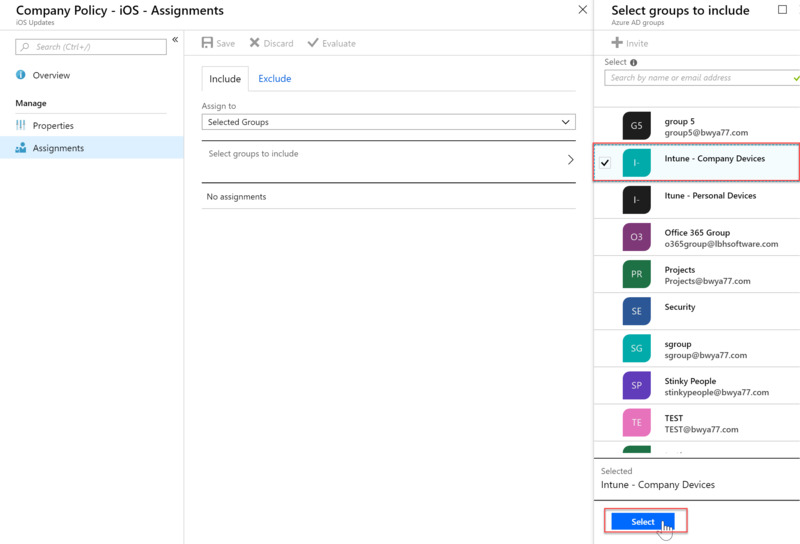 In this step, you will create dynamic groups in the Azure portal, based on the device category and device category name. 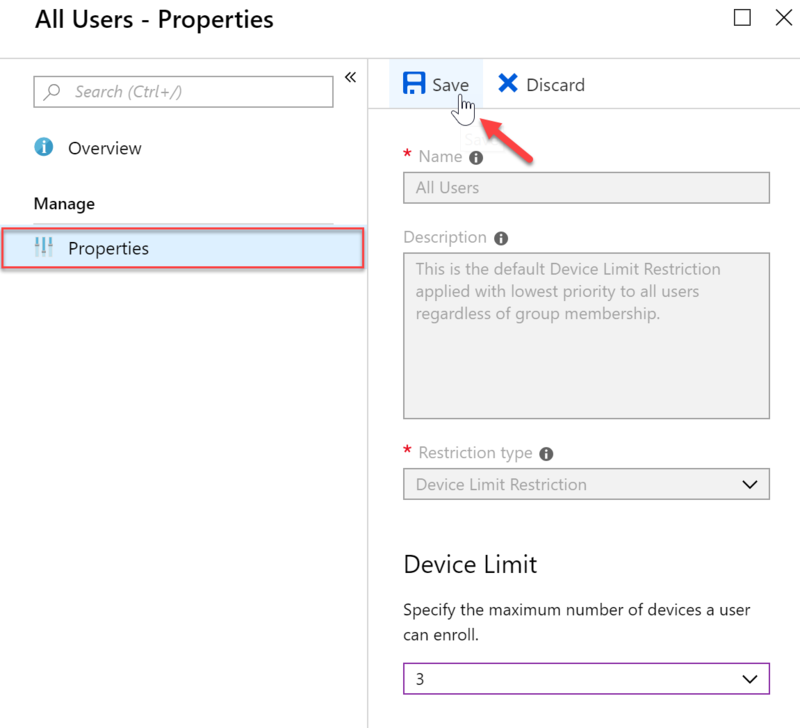 Use the information in this section to create a device group with an advanced rule, by using the deviceCategory attribute. 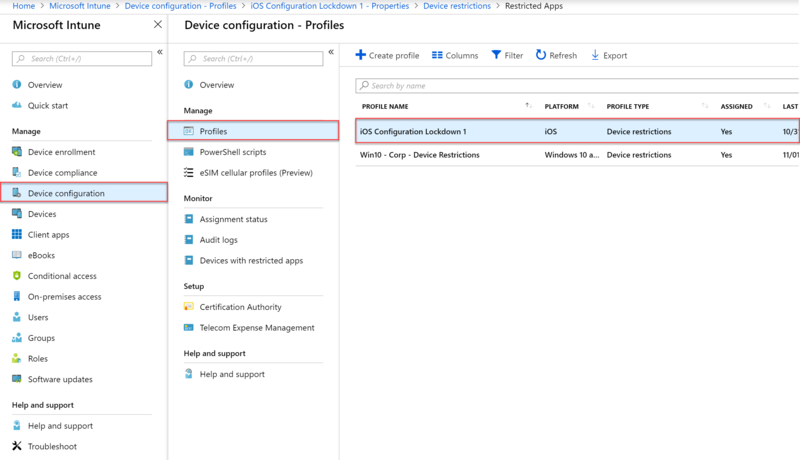 For example: device.deviceCategory -eq “Personal Device“. 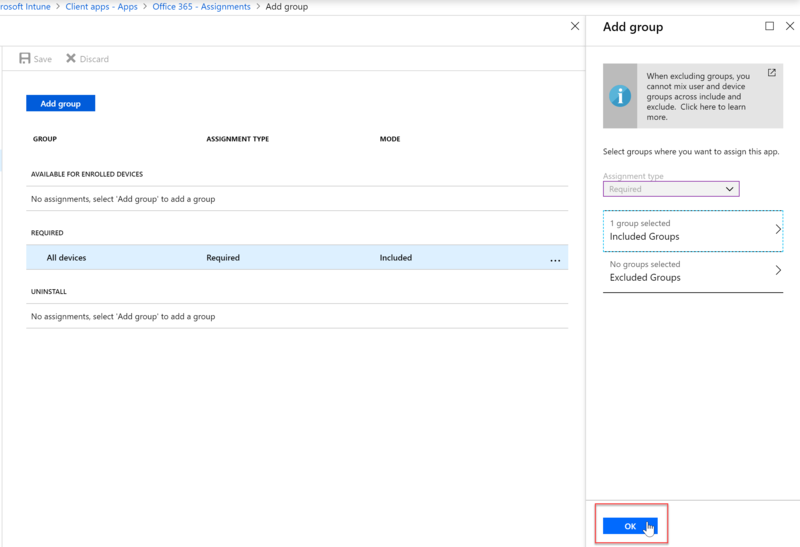 Give your group the required properties like type, name and description. 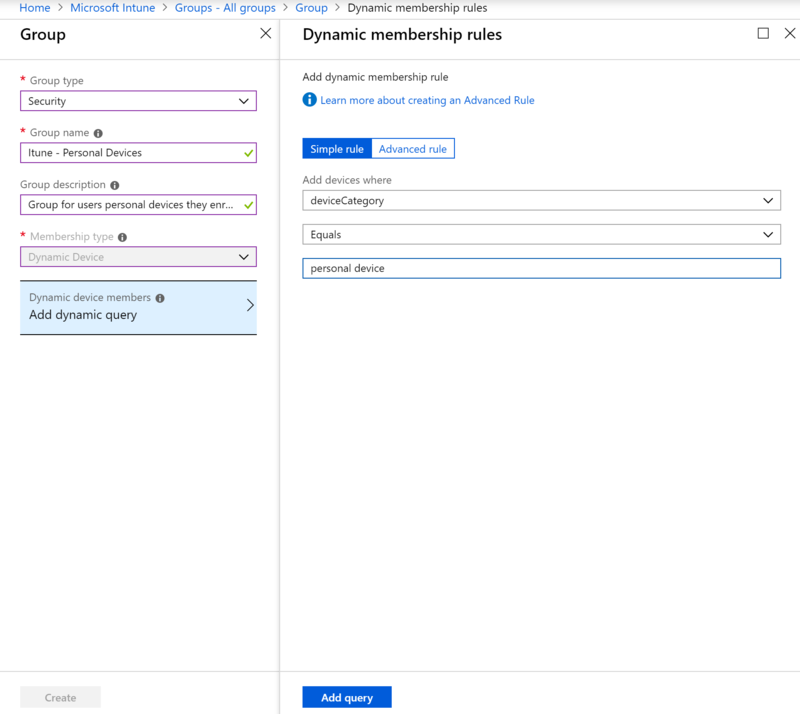 We will want to add a dynamic membership rule. 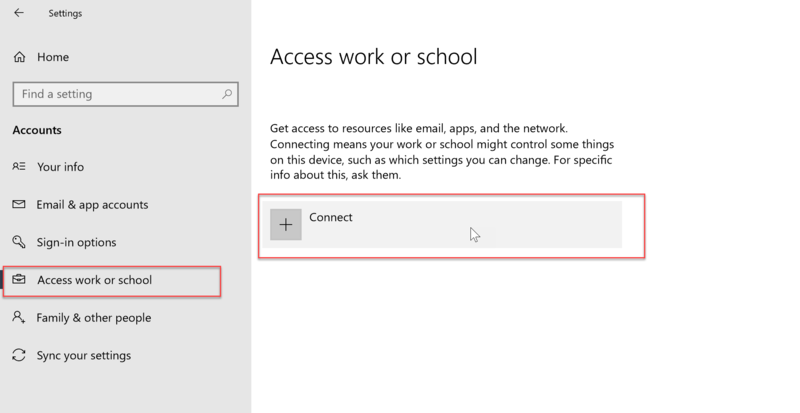 The one below will contain all devices that a user selects as their Personal Device. 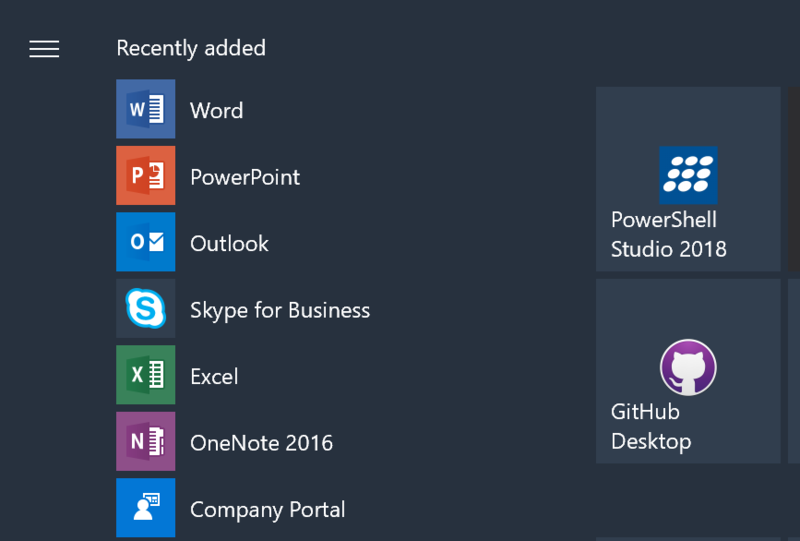 Here we see the two categories I set up for the users to select. 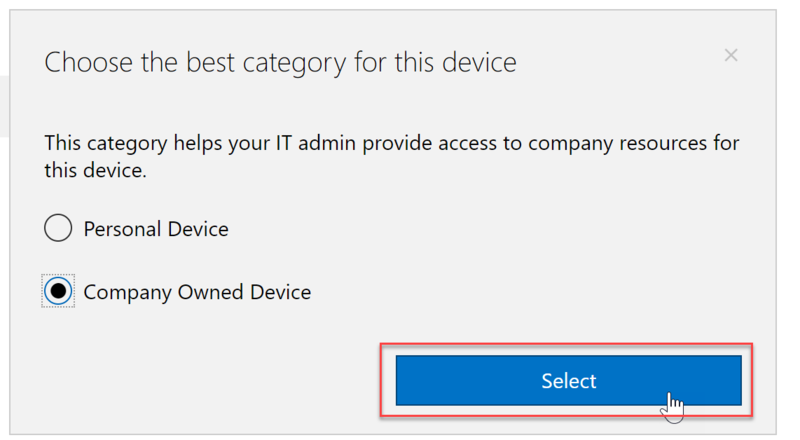 Since this machine is a Company Owned Device I will select the category. 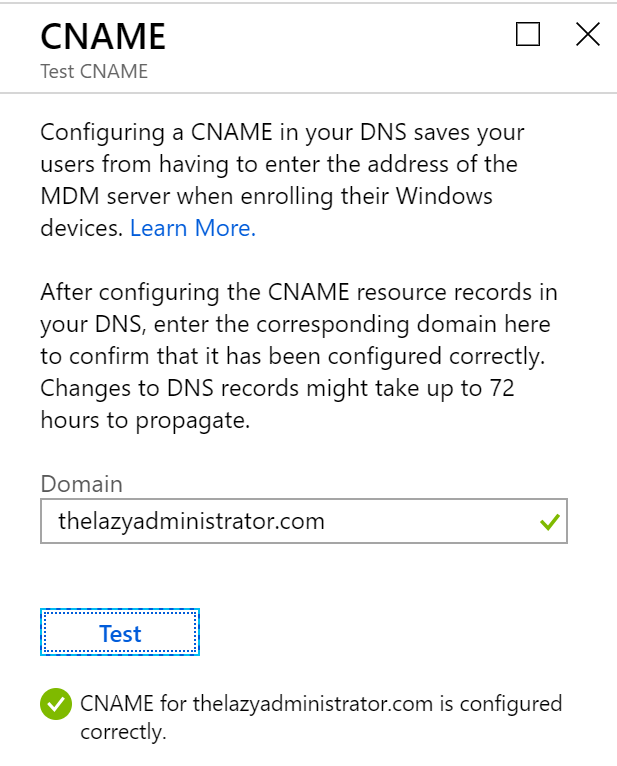 Behind the scenes, this device is added to that dynamic group and allows for a better management experience. 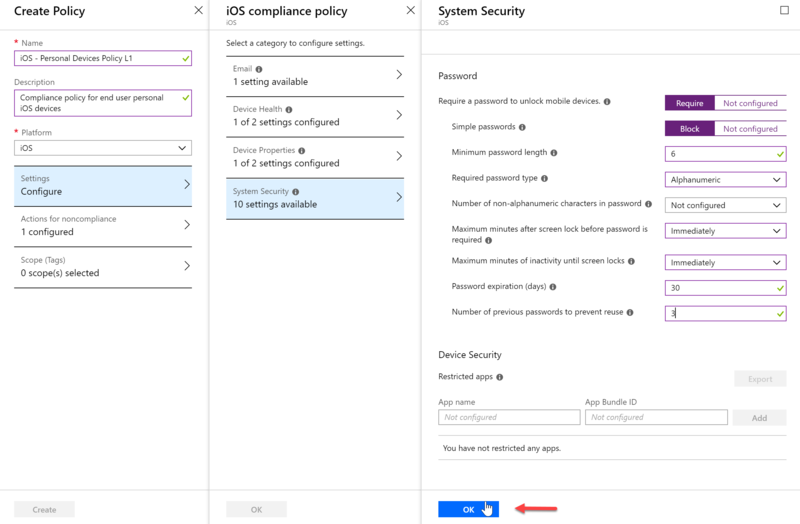 Compliance policies in Intune define the rules and settings that a device must comply with in order to be considered compliant by conditional access policies. 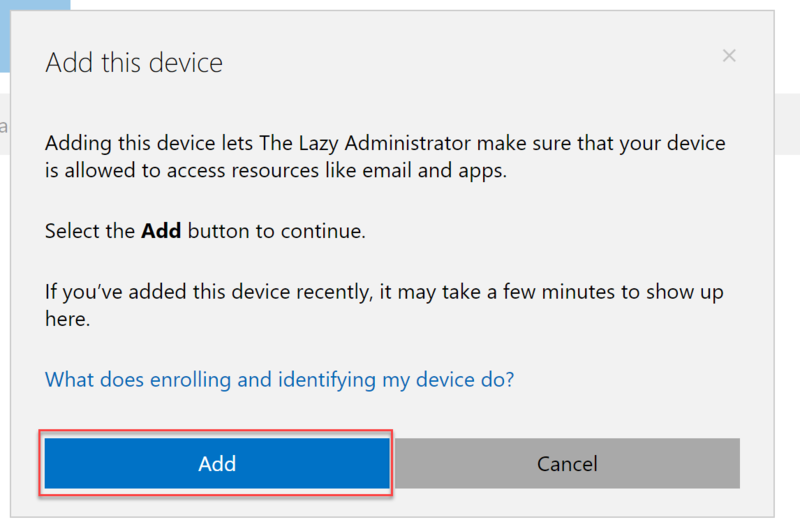 Click “Create Policy” and then I am going to create a policy that I will apply to my end users personal devices. 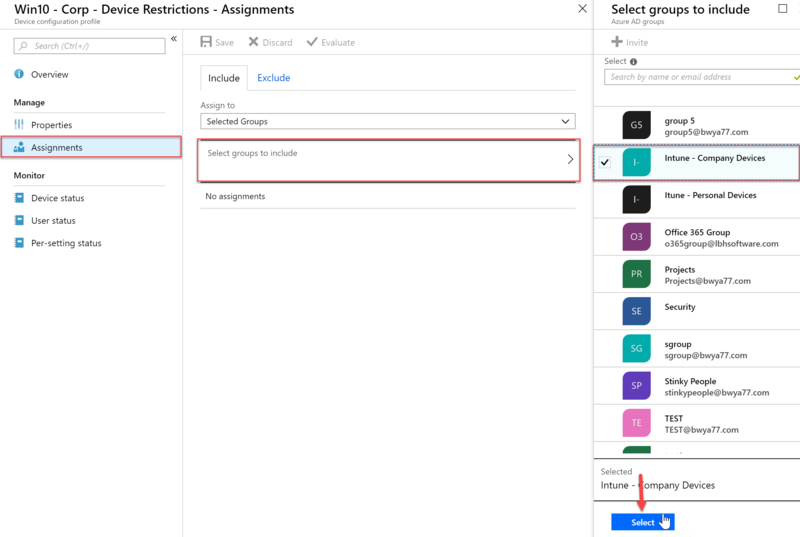 This will be a policy for the group we created earlier. 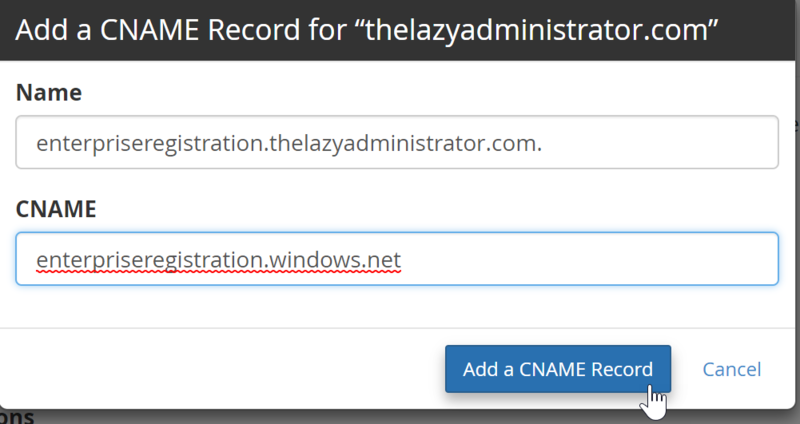 Once we specify a name and platform we will have different compliance settings that we can configure become available. 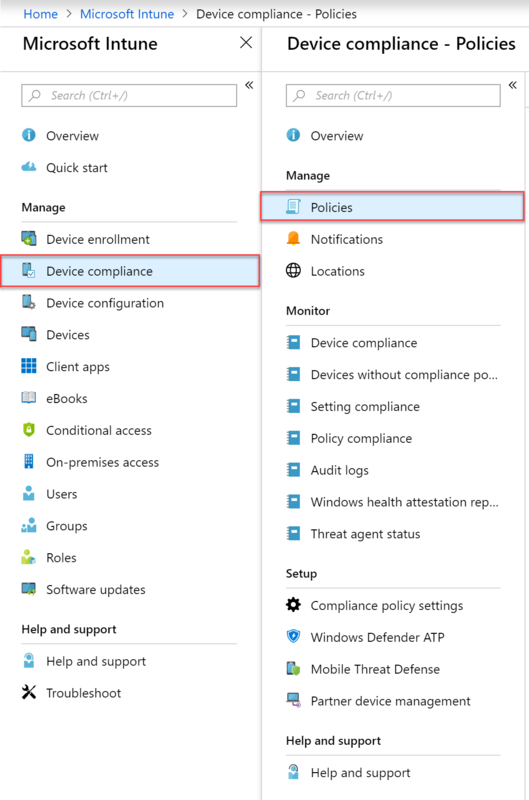 Once you have configured all of your Compliance settings, save the policy. 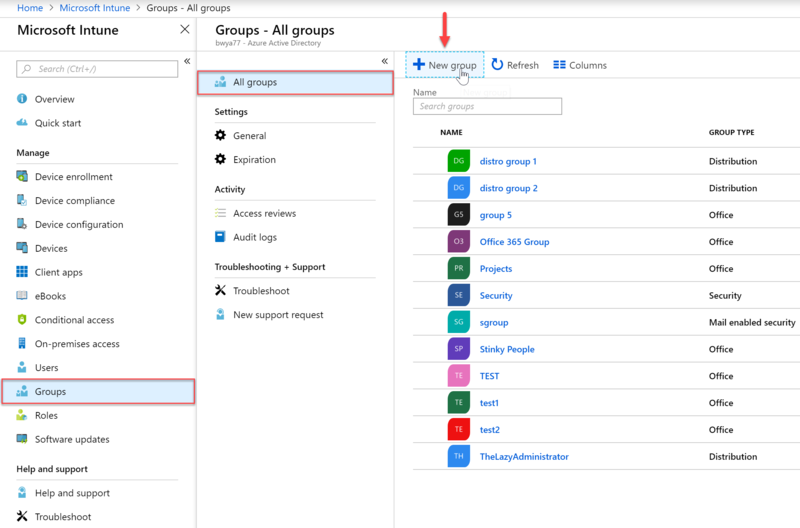 Once I click “Select groups to include” I can select my Intune – Personal Devices dynamic group and then save. 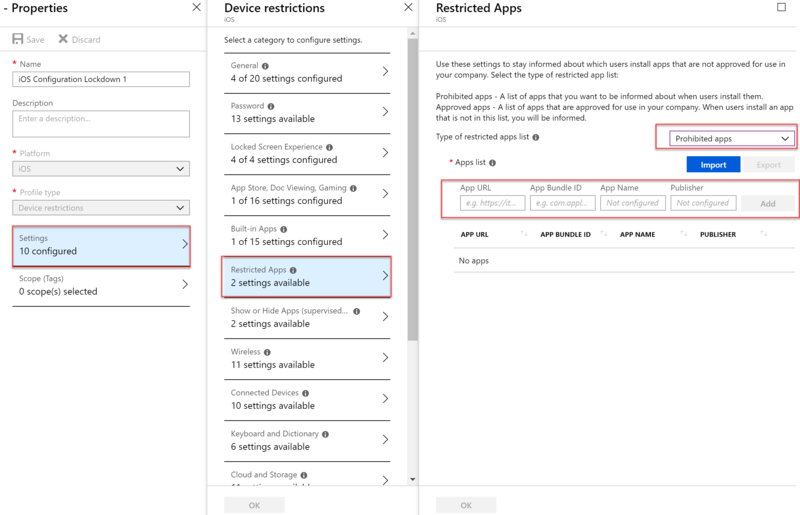 If I want to make sure the policy goes into effect immediately on a device, I can go to All Devices and find my device and force a resync. 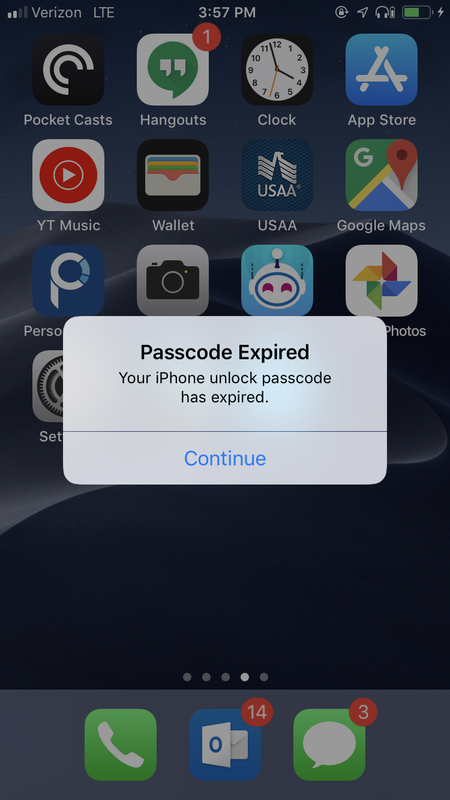 If you set a passcode setting and the users current passcode does not match, they will be greeted with a password expiration notification. 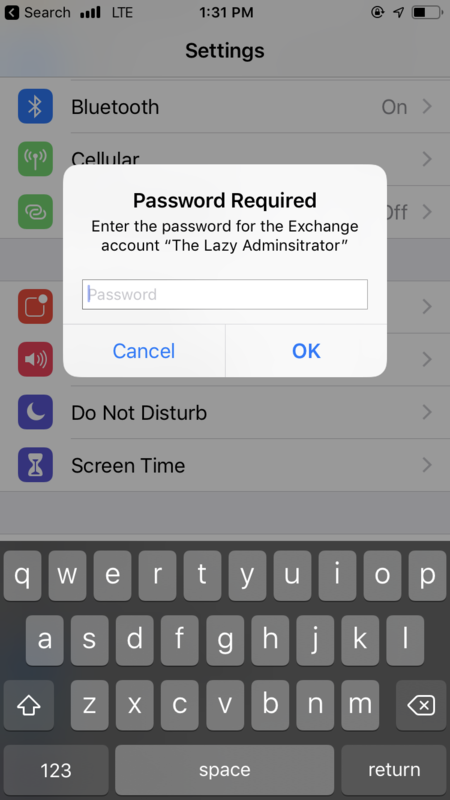 From there they can set their own passcode. 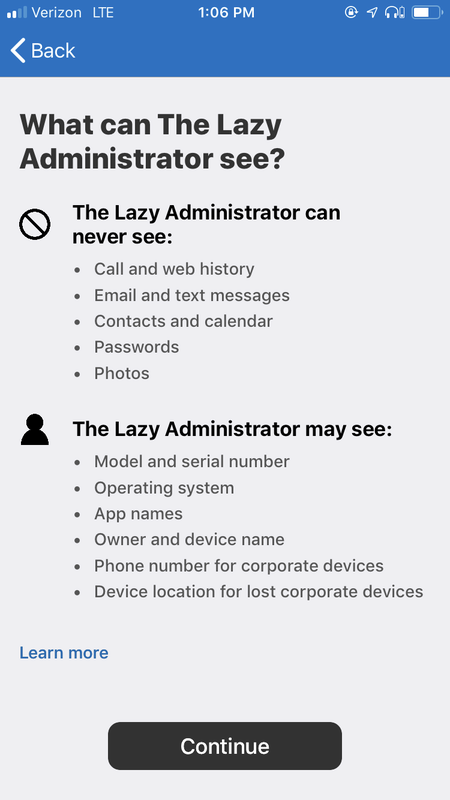 Commonly used to manage security settings and features on your devices, including access to company resources. 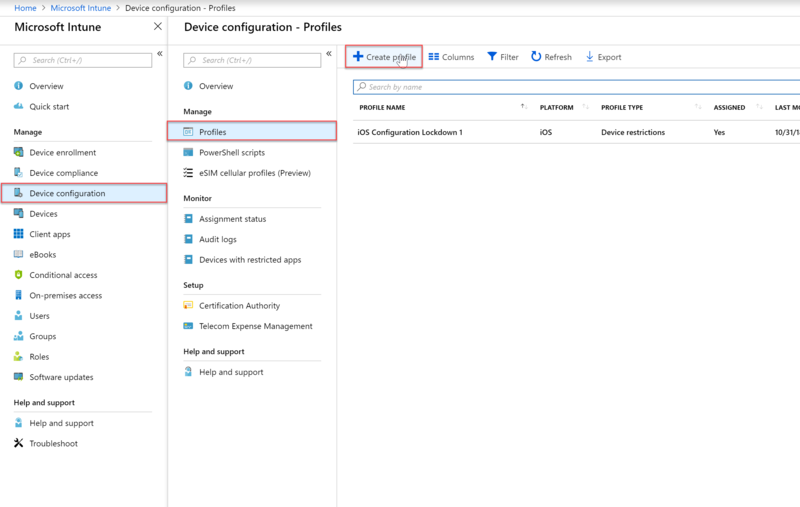 Expand the Intune blade and then select “Device Configuration”, “Profiles” and then click “Create Profile” to create a new device configuration profile. 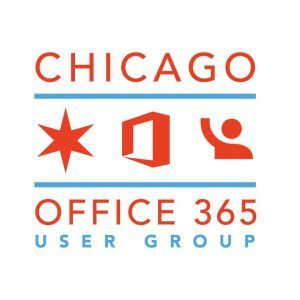 Enter the appropriate information regarding your profile / policy. 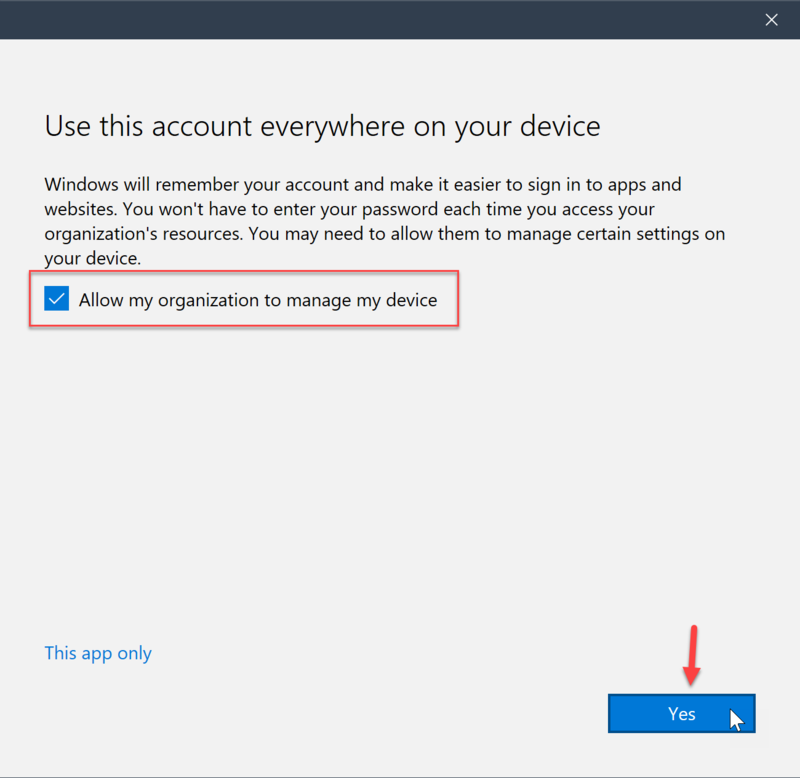 In my example I will be making a policy that is applied to corporate owned Windows 10 devices. 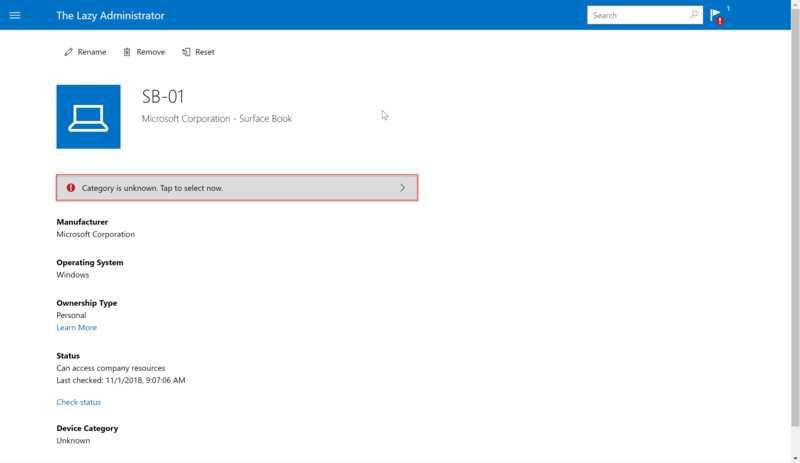 Once you have configured all of the settings you’d like, press “Create” under the create profile blade. From there I will select my Intune – Company Devices group to apply this policy to. 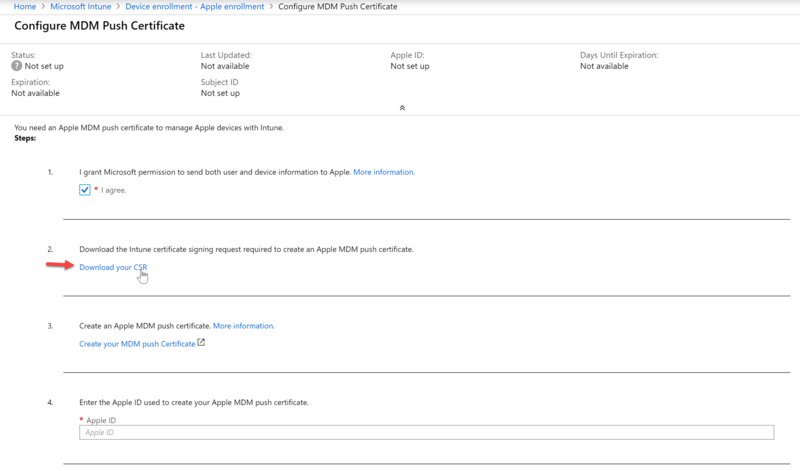 In this example I will be configuring a restricted application and applying it to my iOS devices. 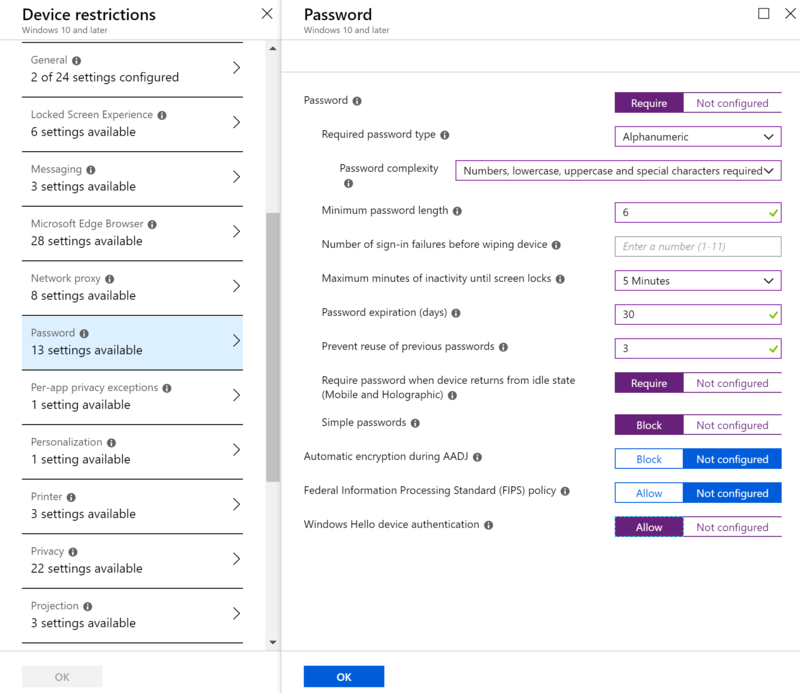 Restricted applications are applications that users are not allowed to install and run. 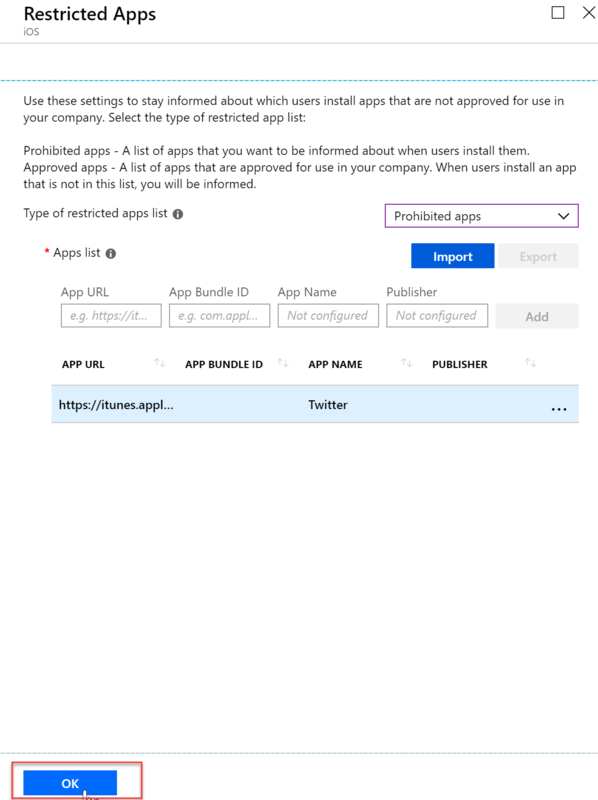 Users are not prevented from installing a prohibited app, but if they do so, this is reported to you. 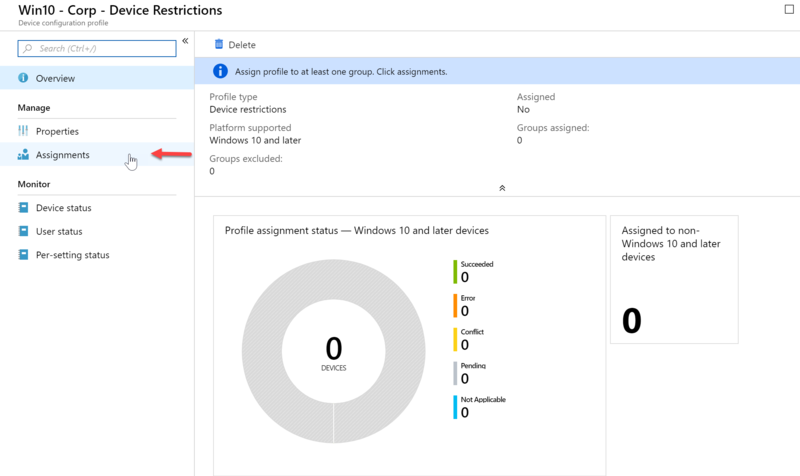 In the Intune blade select Device configuration > Profiles and then select your profile you want to edit or create a new one. 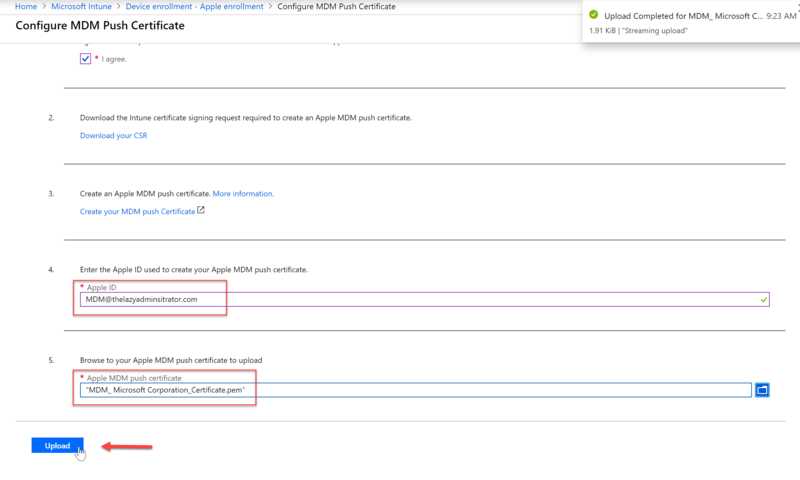 In my example I will modify the profile applied to iOS devices. 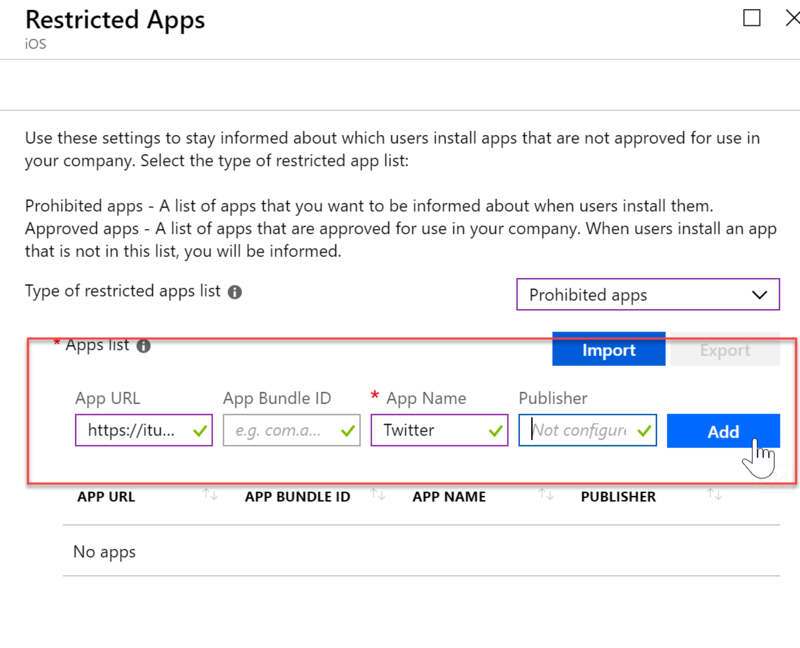 When you have finished your restricted apps list, click OK at the bottom and then save your profile / policy. 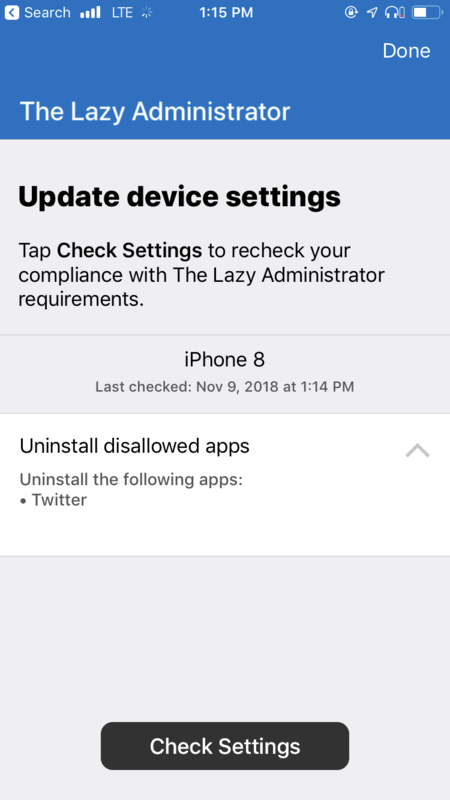 The company portal will display a message that I must uninstall the Twitter application since it is now a disallowed application. Give your new profile a name and description. 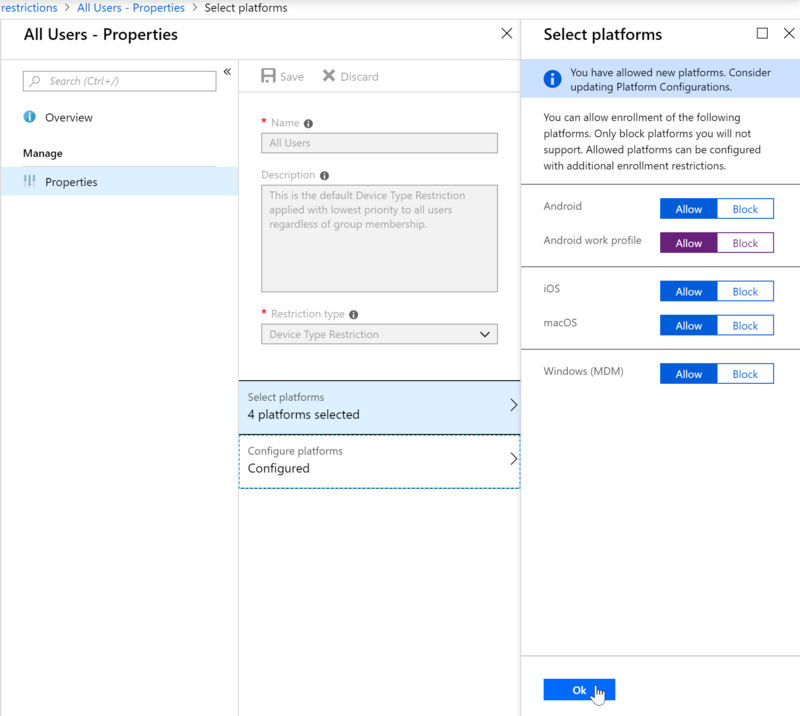 Select the platform that best fits your needs. 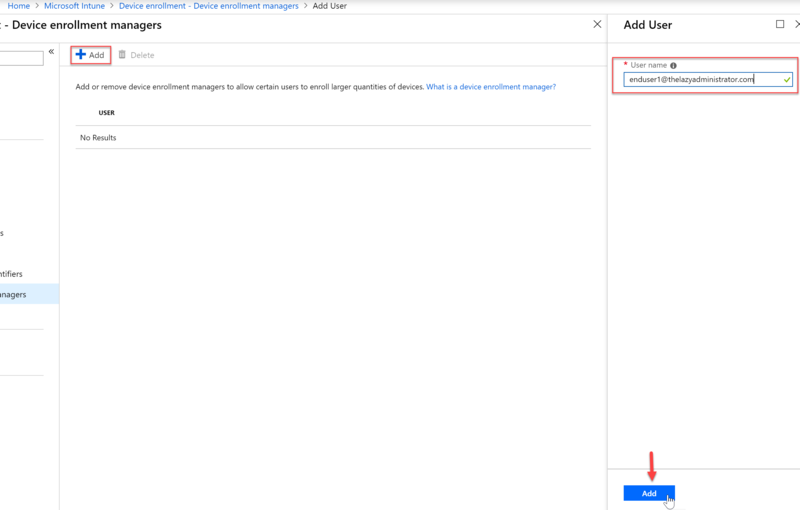 under profile type select “Email”. 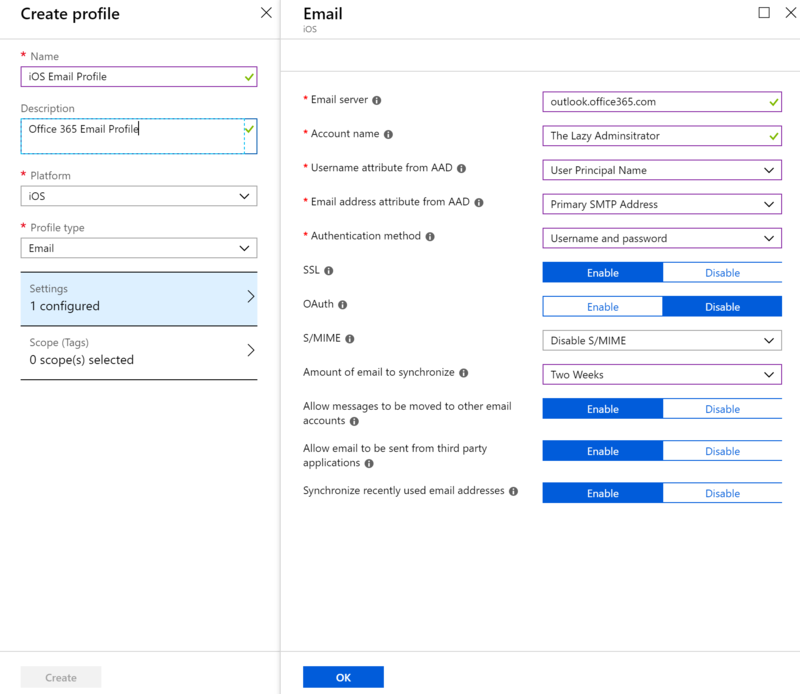 In the email blade configure the email profile and then press OK and then Create to create the profile. 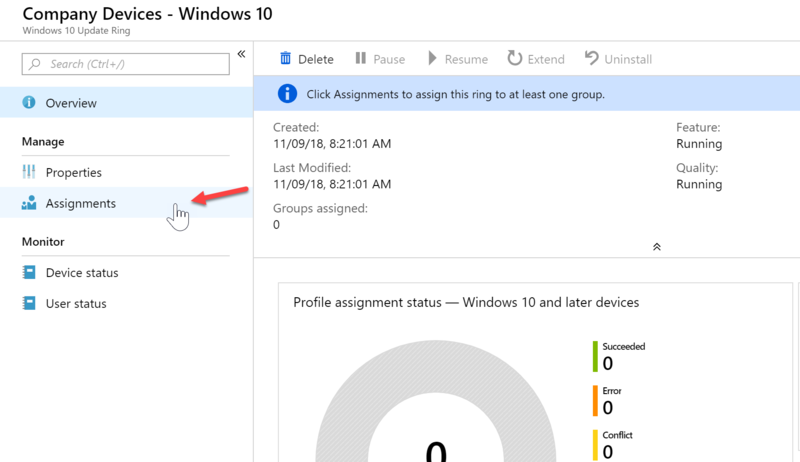 Click Assignments to assign your profile to a group or all devices. 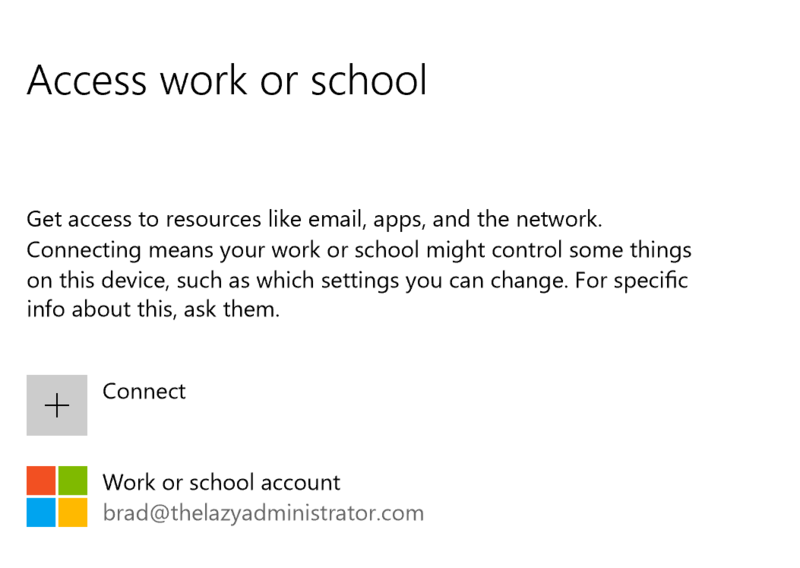 In my example, I am applying it to all devices. 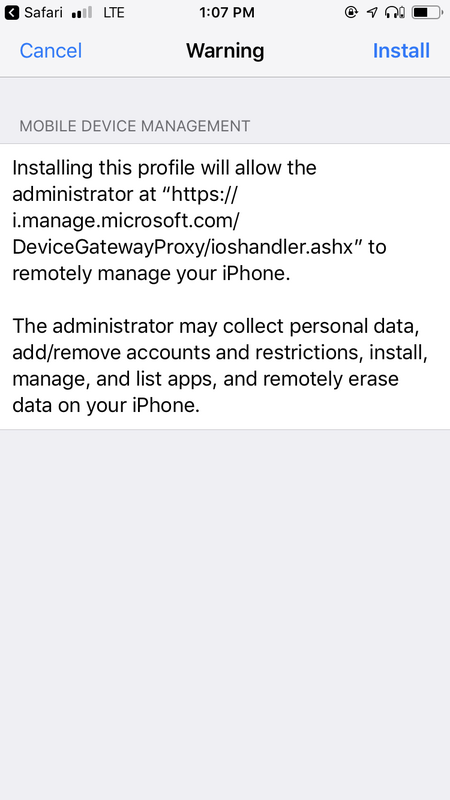 This will apply to all iOS devices. 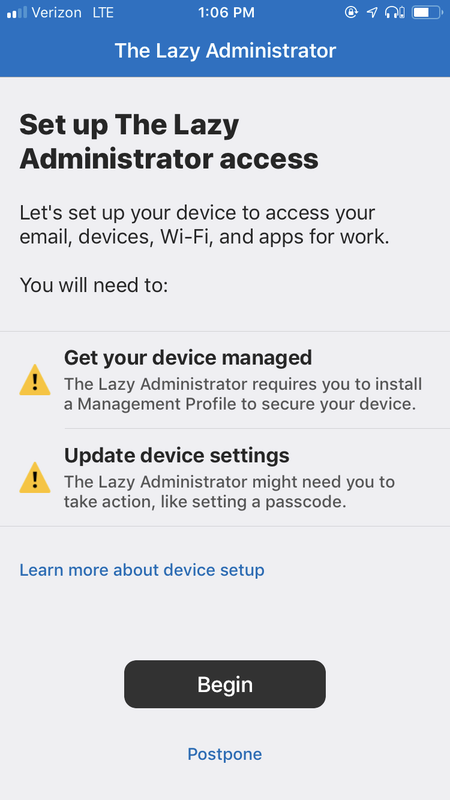 If there are other devices, such as Android, it will just list as not applicable. 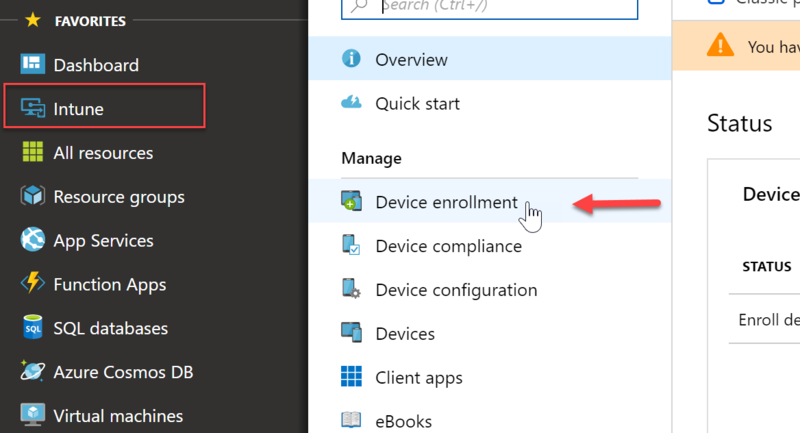 In this example I will be showing you how Intune can modify users home docks. 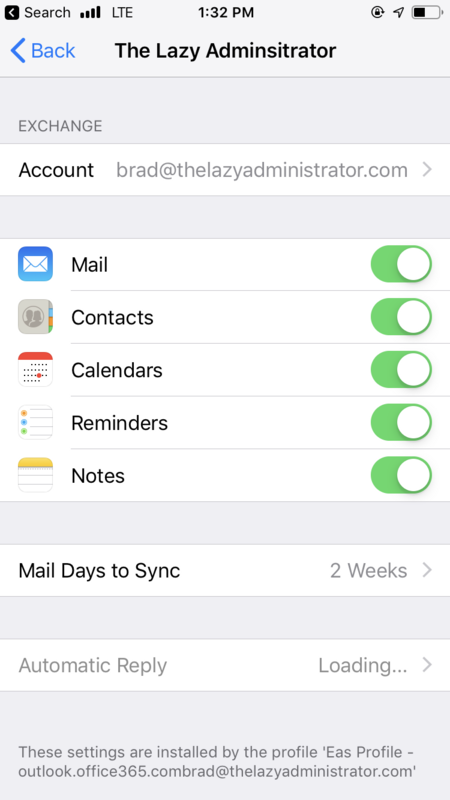 I will be making a profile / policy that will ensure the default Phone application is on the dock. 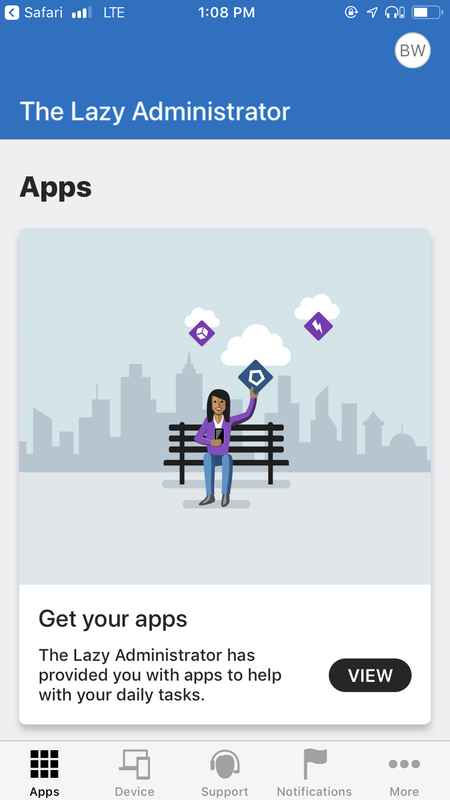 The platform must be iOS and the Profile type is going to be “Device Features”. 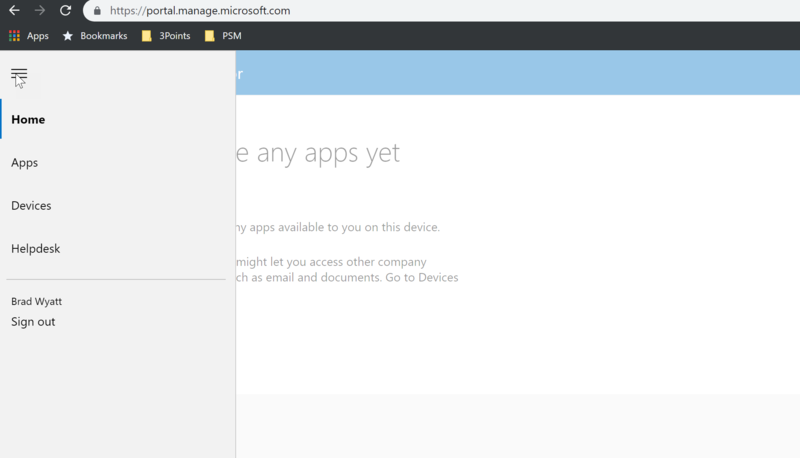 In the device features blade select Home Screen Layout and select Dock. 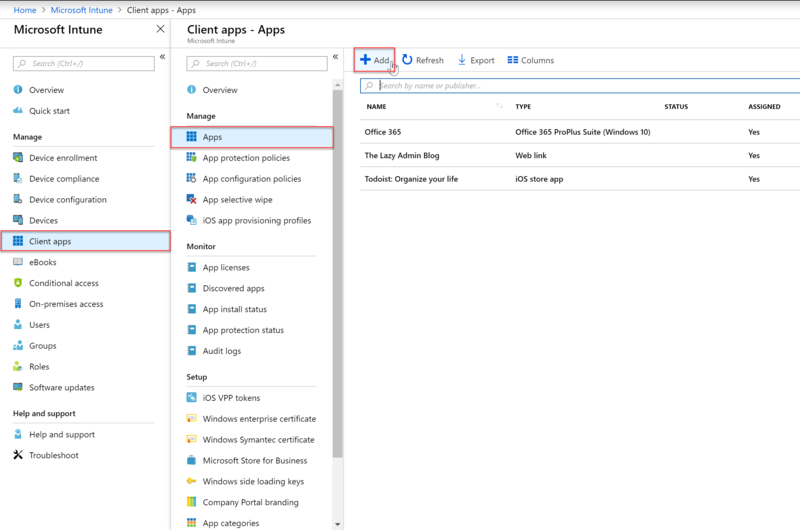 When adding a new application you will need to know the App Bundle ID. 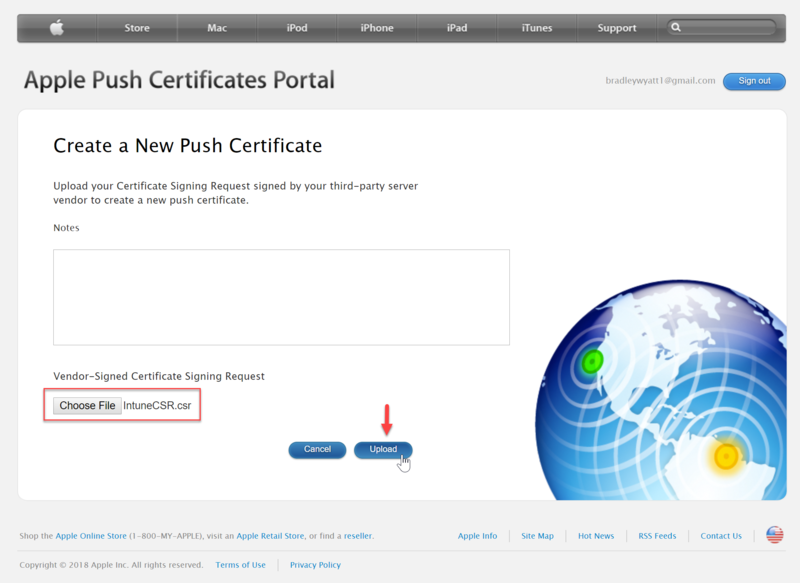 If the application is not a default iOS application you can follow these steps to obtain the bundle ID. 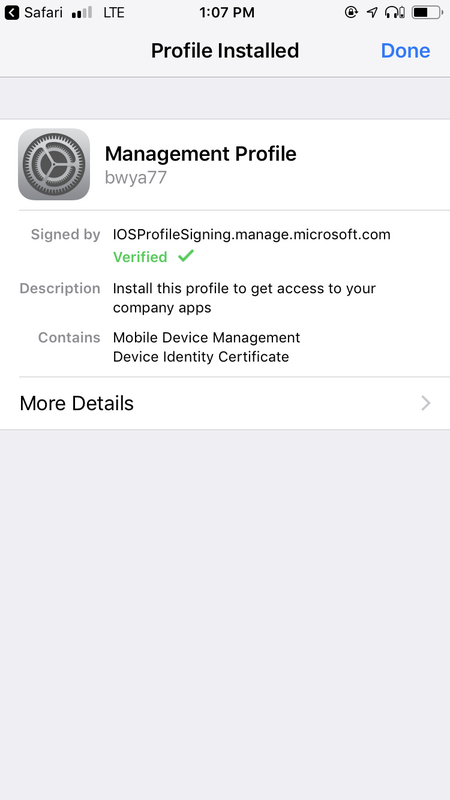 The application will automatically be placed on the dock on iOS devices once the profile gets pushed to the device. 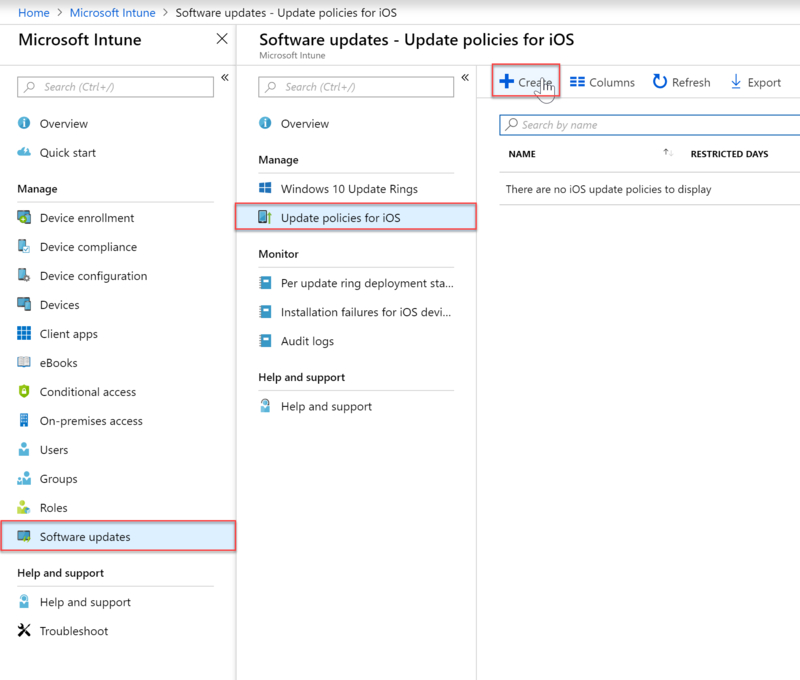 With Software Update Policies you can control when users can update to the newest iOS, you can restrict it so they cannot download it during business hours, or how long they must wait after it has been released until they can install it. 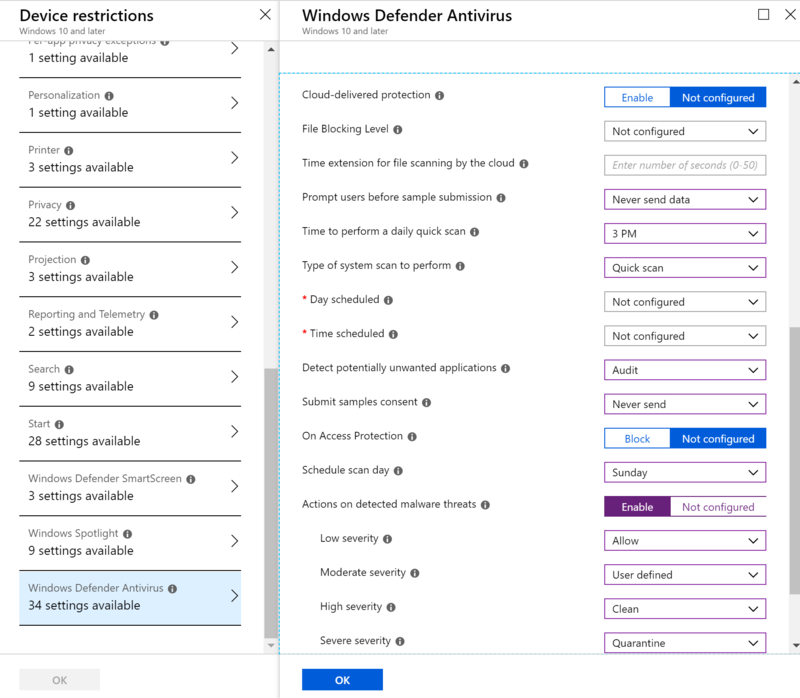 With Windows Devices you can control devices servicing channel (Insider, Semi-Annual, etc), auto updates, maintenance windows, and more. 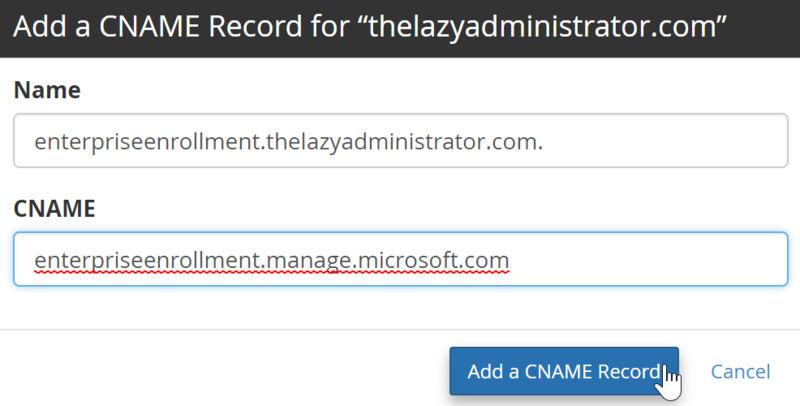 Give your policy a name and description. 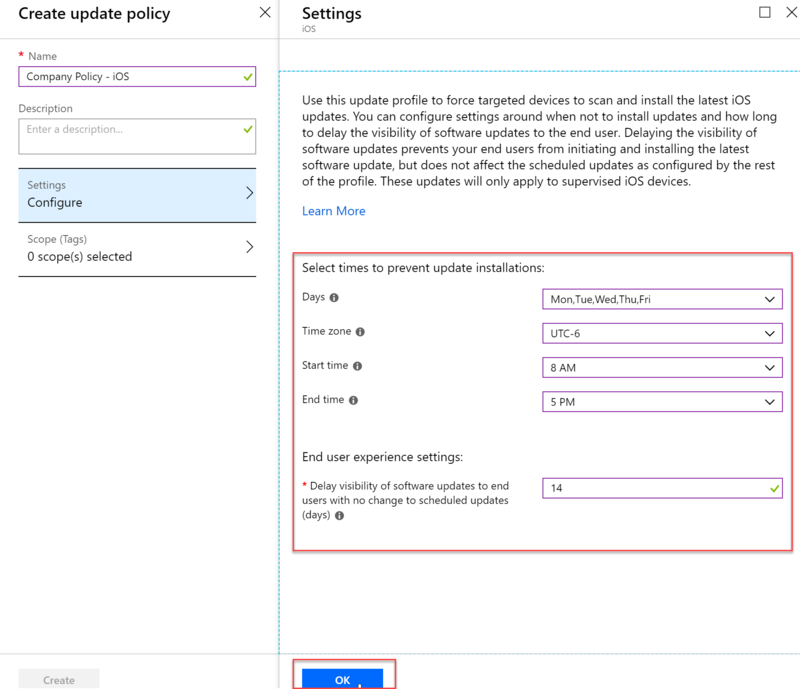 In the Settings you can begin configuring the policy settings. 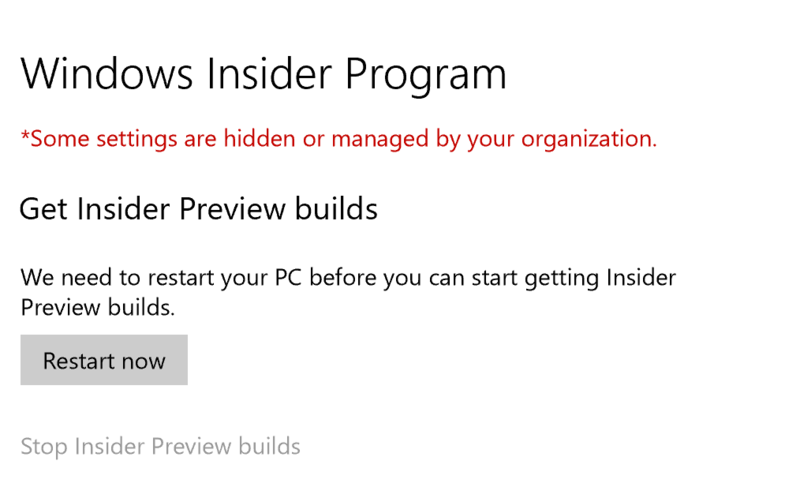 Below I am putting my devices on the Windows Insider update ring. 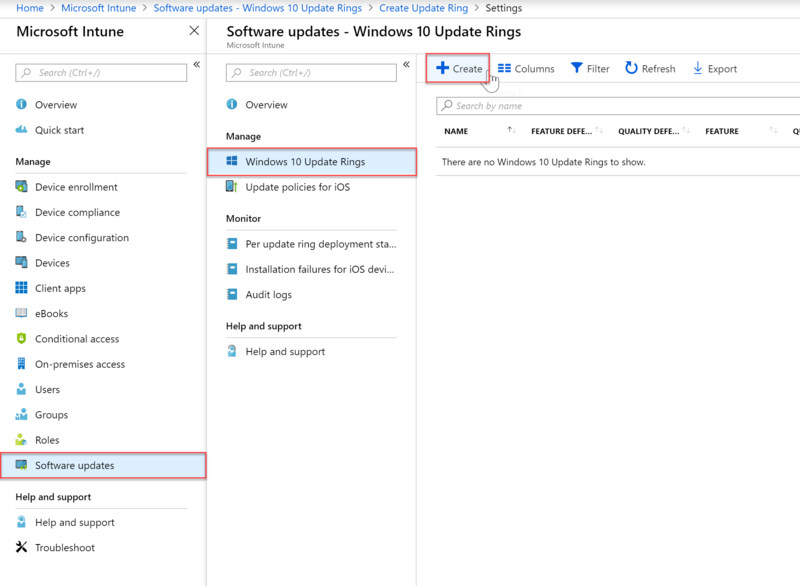 They will also get Microsoft product updates, and drivers. 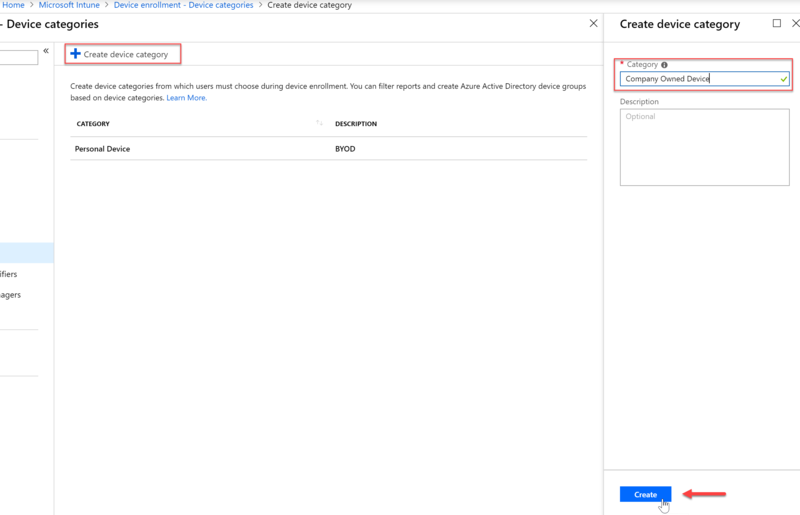 You can configure a deferral period which may be recommended for a production environment. 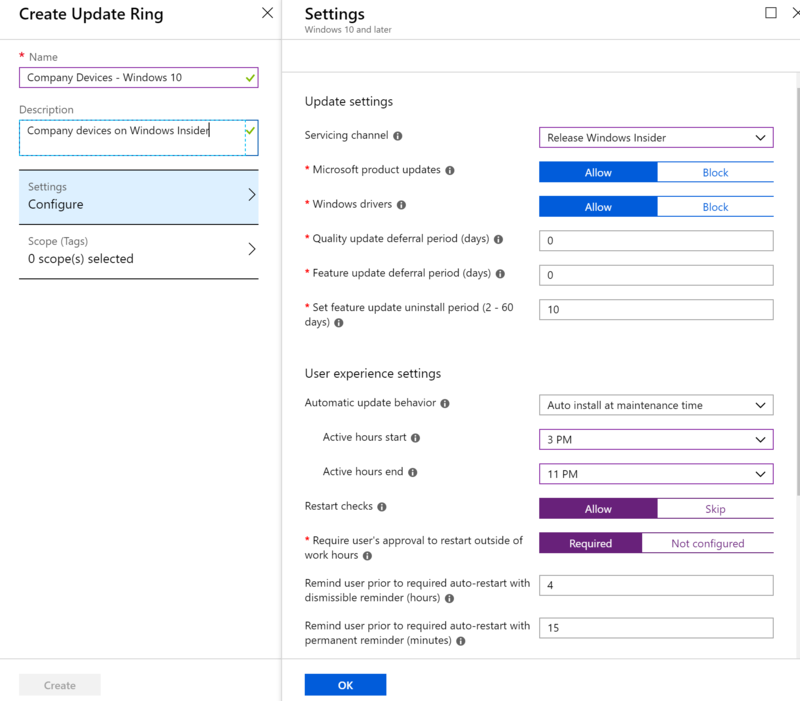 In the User Experience Settings administrators can configure maintenance hours, in my environment I am auto installing the updates anywhere from 3PM to 11PM. 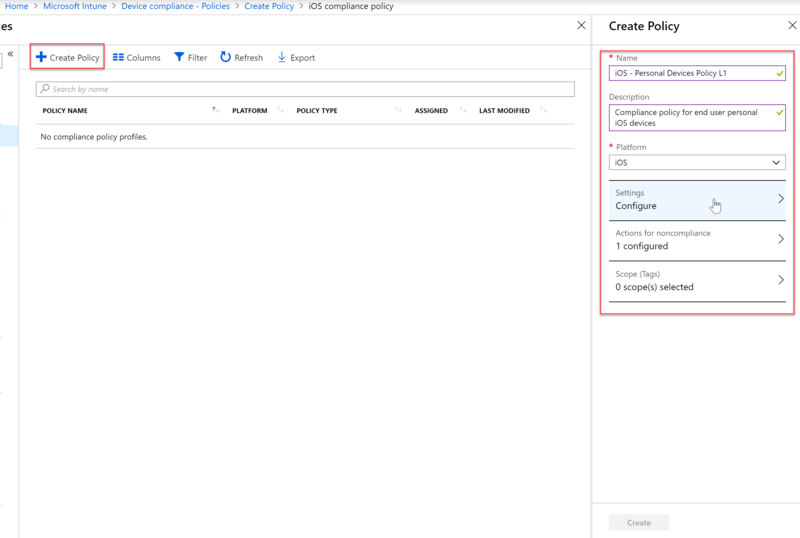 Once you have the policy settings configured to your needs you can add scope tags and then press “Create” to create the policy. 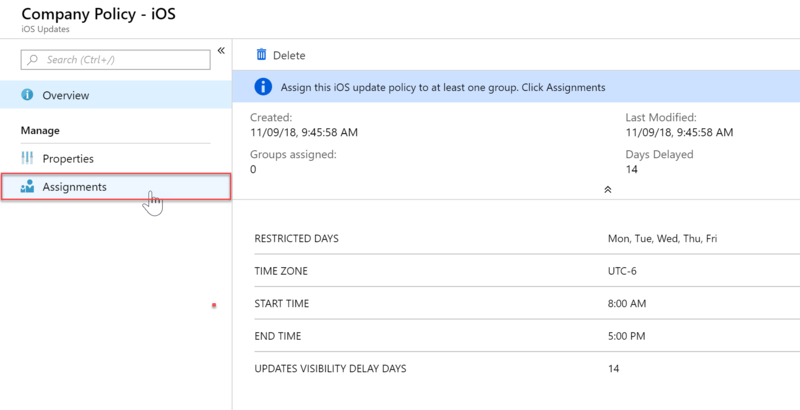 Once the policy has been created, click “Assignments” to assign the policy to devices or groups. 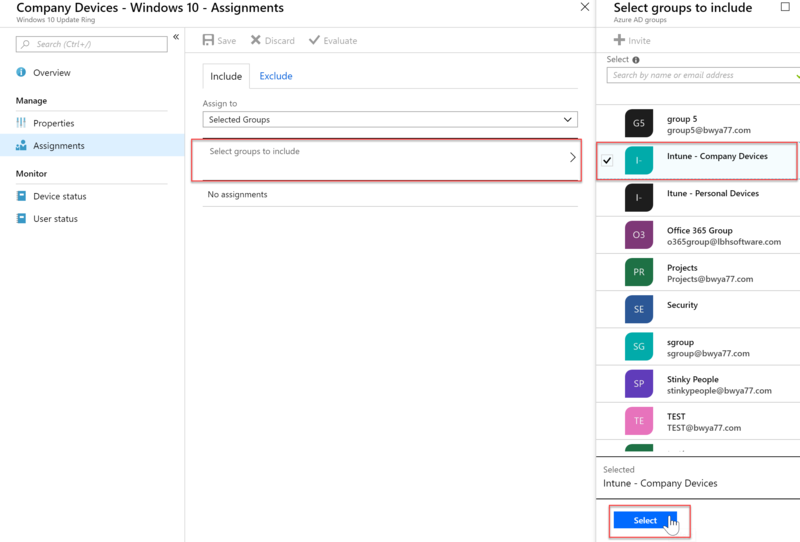 You can apply to all devices using the “Assign to” drop down, or in my case I will apply it to one of my dynamic groups I created earlier by click the “Select groups to include” and then selecting my “Intune – Company Devices” group. 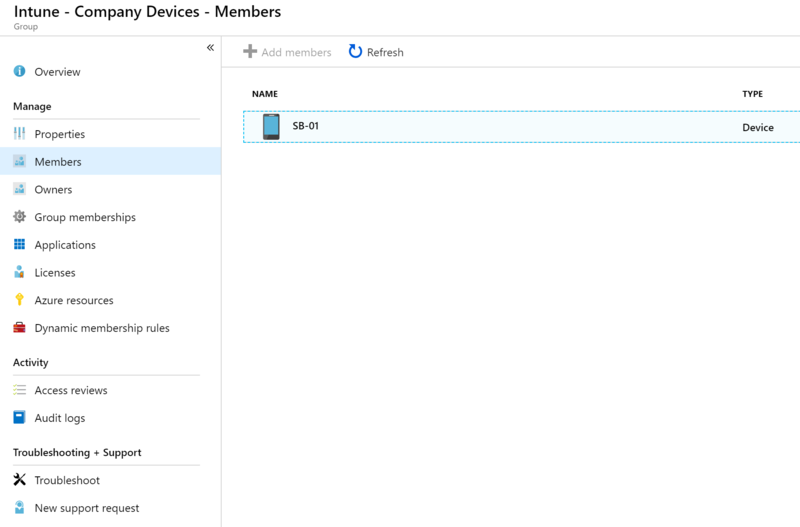 In my Group settings I can see that my windows machine SB-01 is a member of that group so I can be sure that the policy will be applied to that machine. 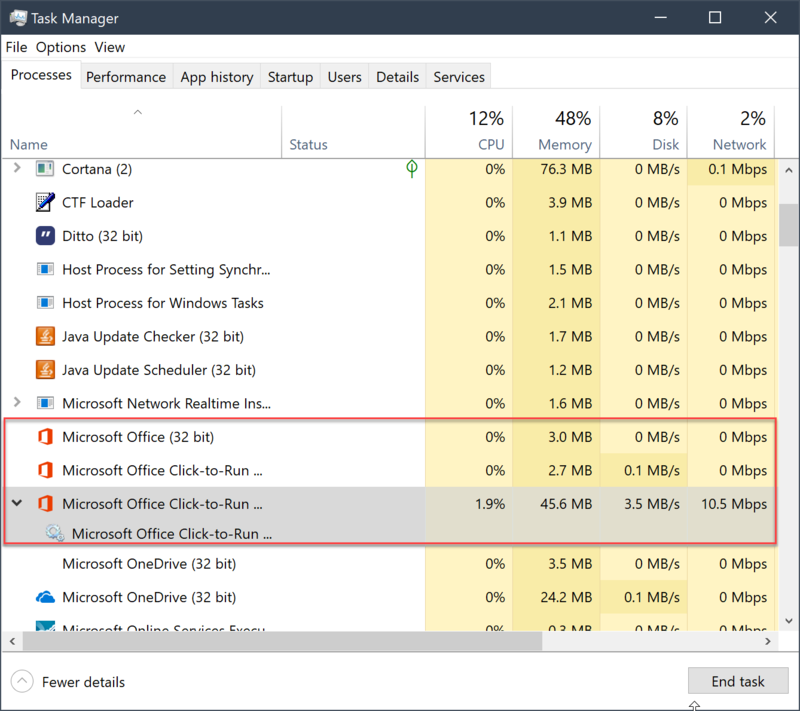 In the Settings application on the device I can see that my computer is pending a reboot. 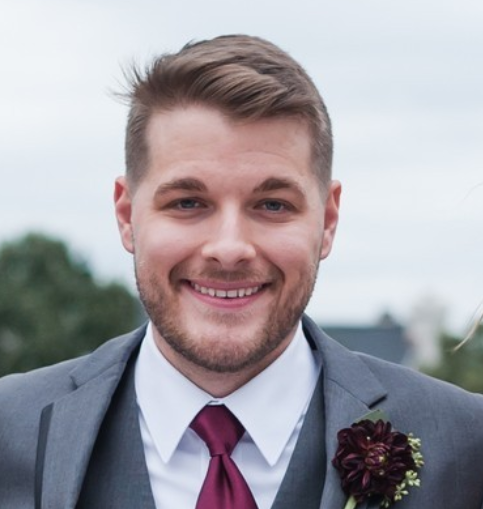 After the reboot I will be on the correct build. 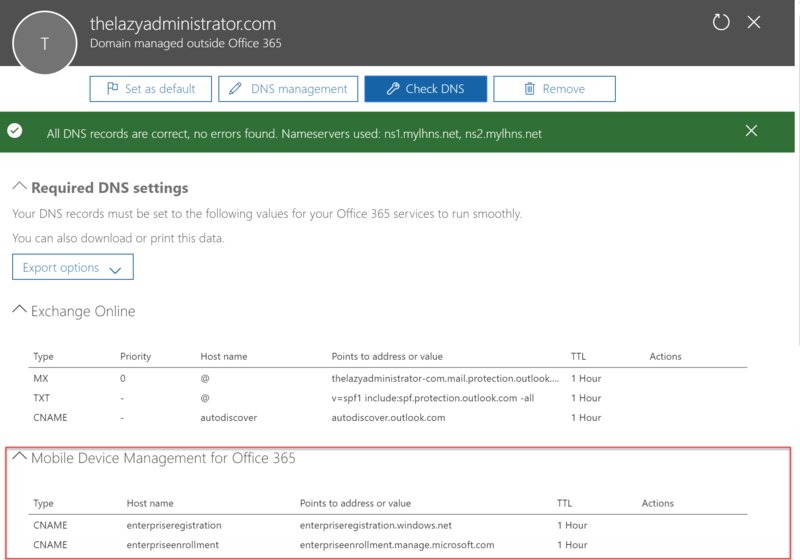 Give you policy a name and a description and then configure your settings. 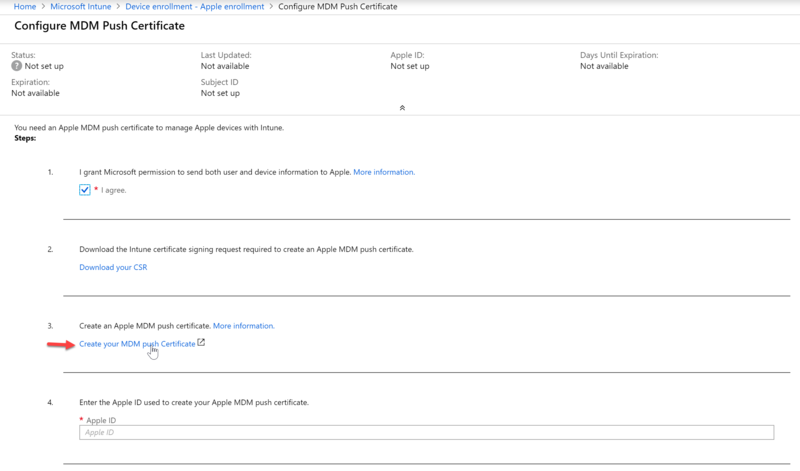 In my example I am disabling users from updating to the newest iOS during the work week and during work hours. 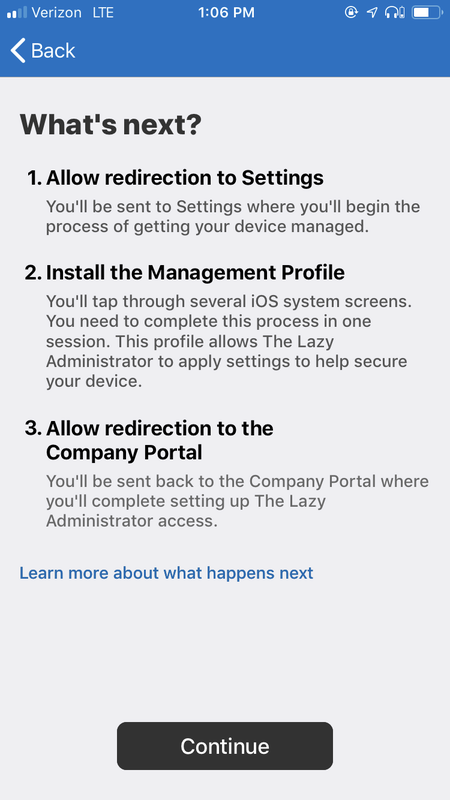 iOS updates are also deferred for 2 weeks. 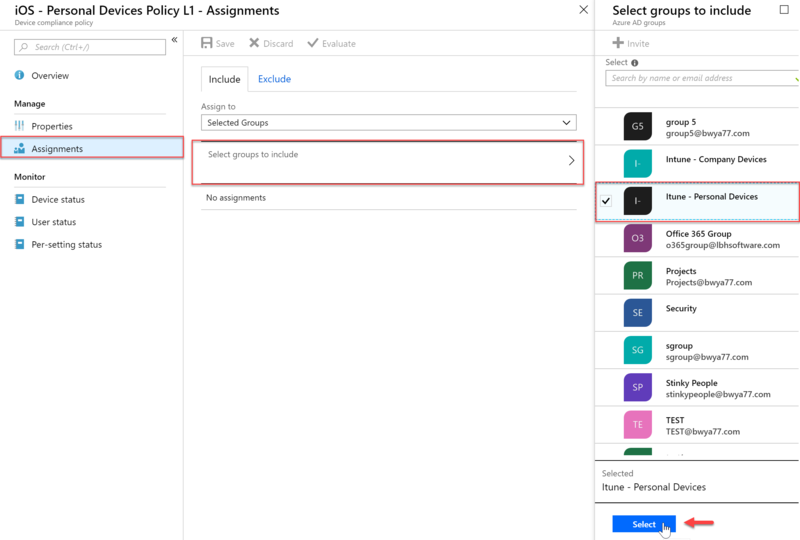 Click “Assignment” to assign your policy to groups or devices. 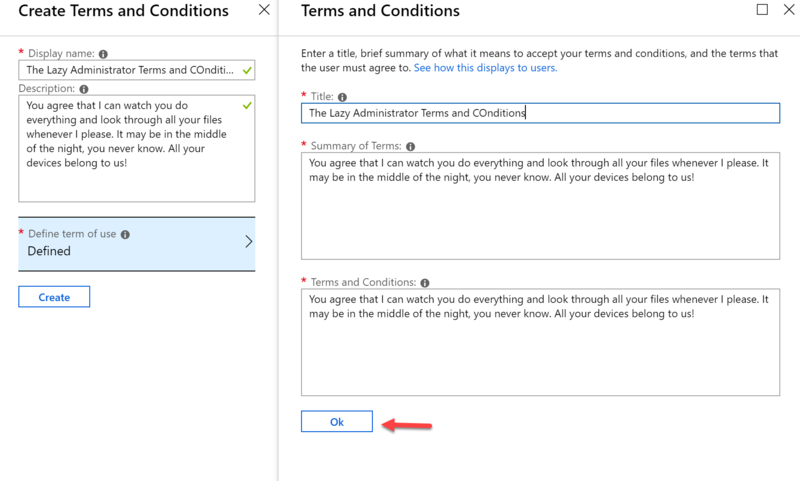 In my example I will apply this policy to Company Devices only. 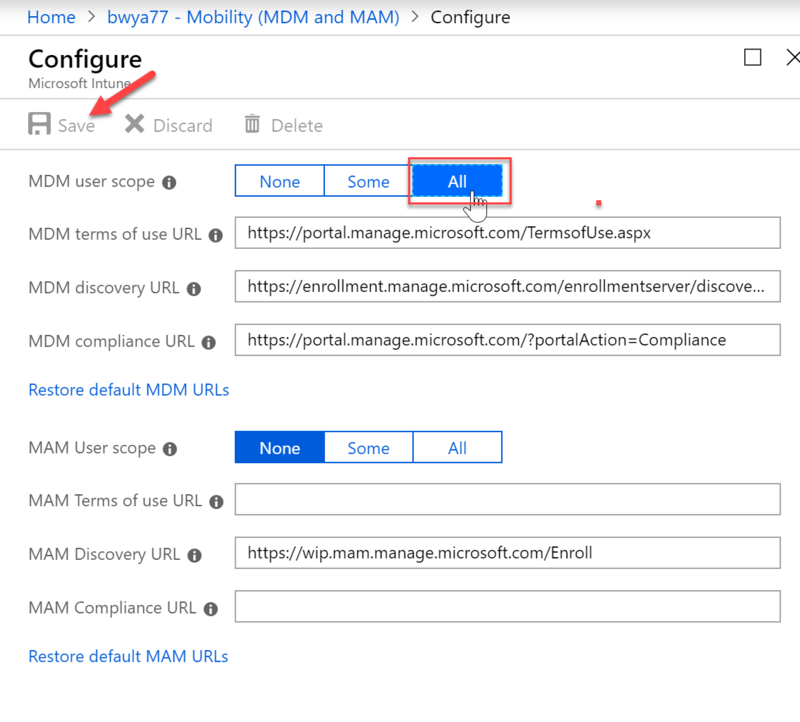 If both MAM user scope and automatic MDM enrollment (MDM user scope) are enabled for a group, only MAM is enabled. 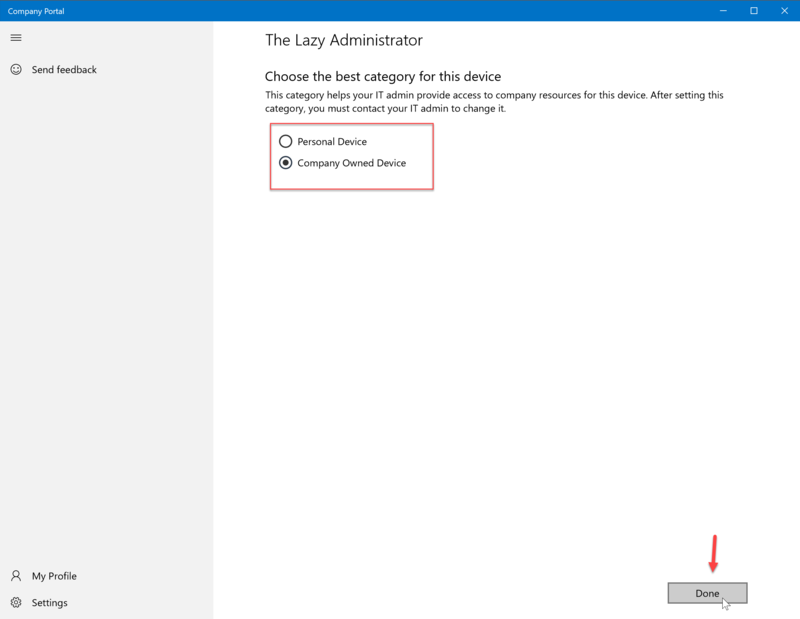 Only MAM is added for users in that group when they workplace join personal device. 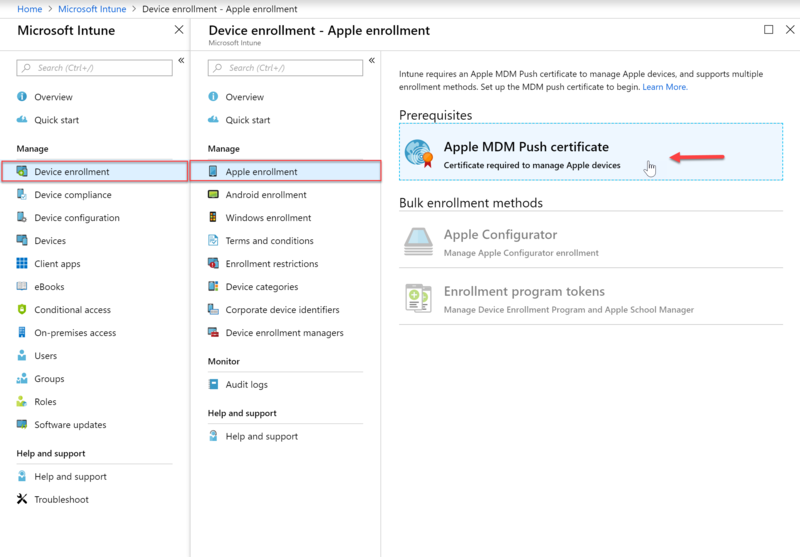 Devices are not automatically MDM enrolled. 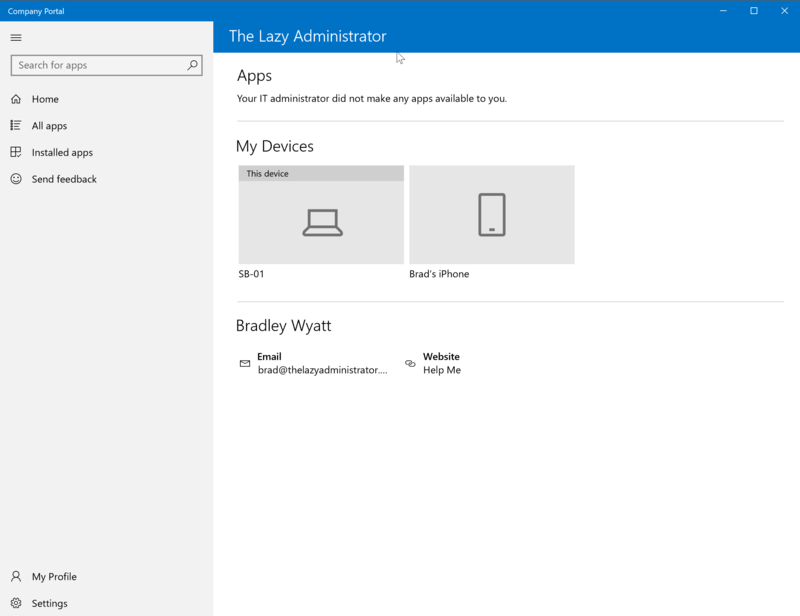 The application will show the end user the permissions the IT Administrator will have on the device. 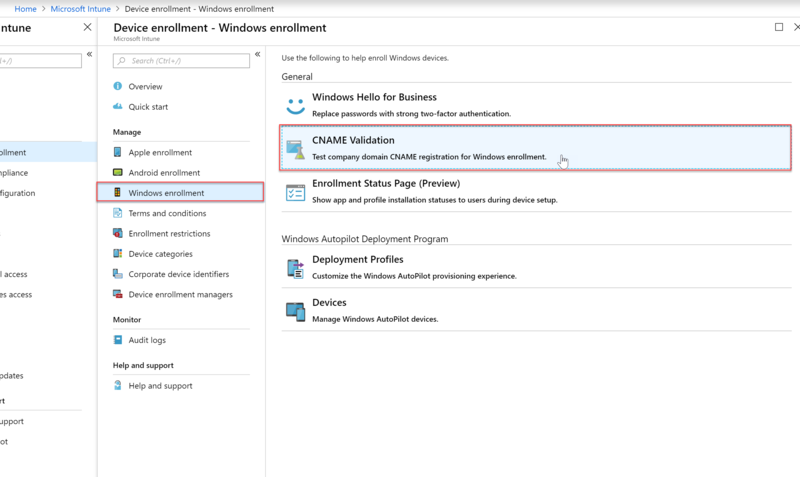 The Company Portal will show the end users any available apps you have granted them, all of their Intune devices, support options we set up previously and notifications. 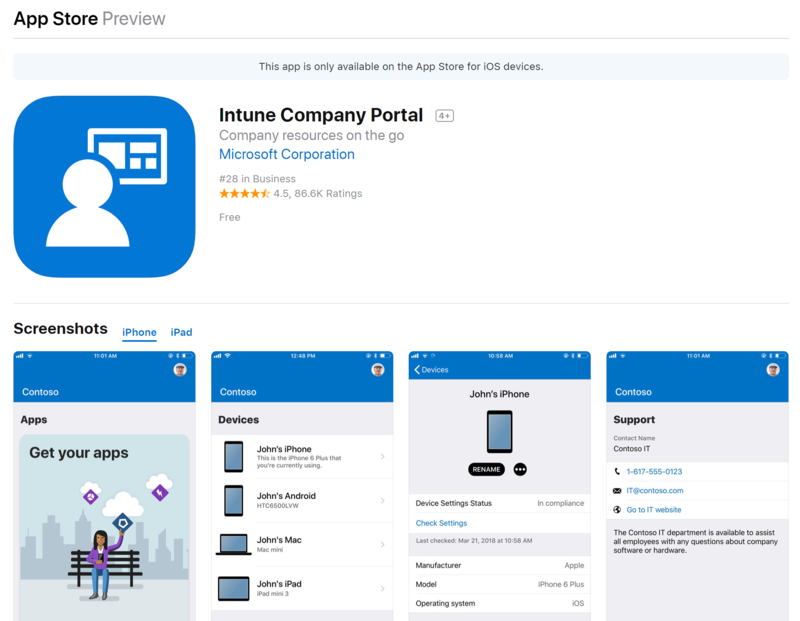 Windows users can install the Company Portal from the Windows store, use the web Company Portal, or use the Windows Settings app to enroll their Windows devices into Intune. Once complete they will be prompted with a successful message. 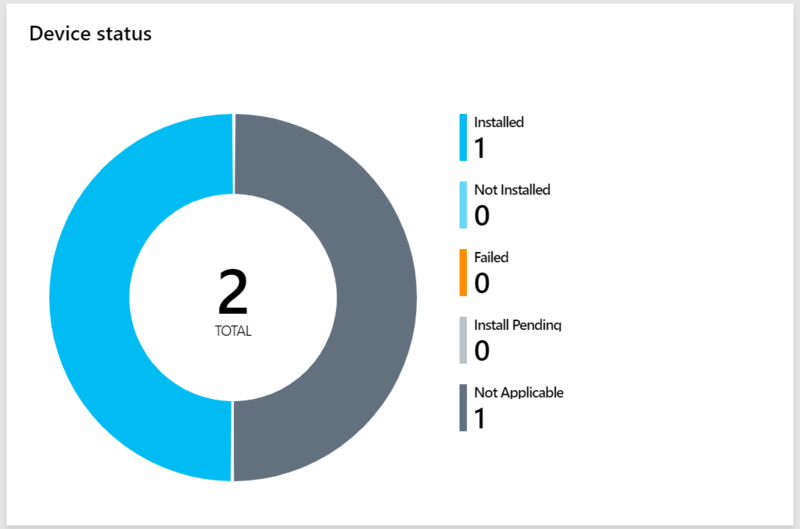 The Company Portal allows and administrator to push, install, uninstall, and make available, applications for end users. 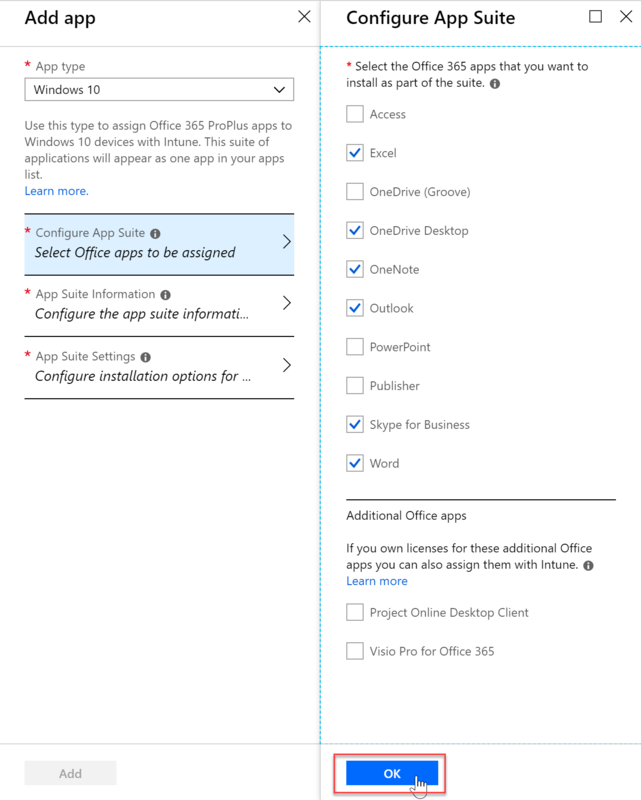 Applications can include Office 365 apps, web apps, Microsoft Store apps, iOS Apps and more. 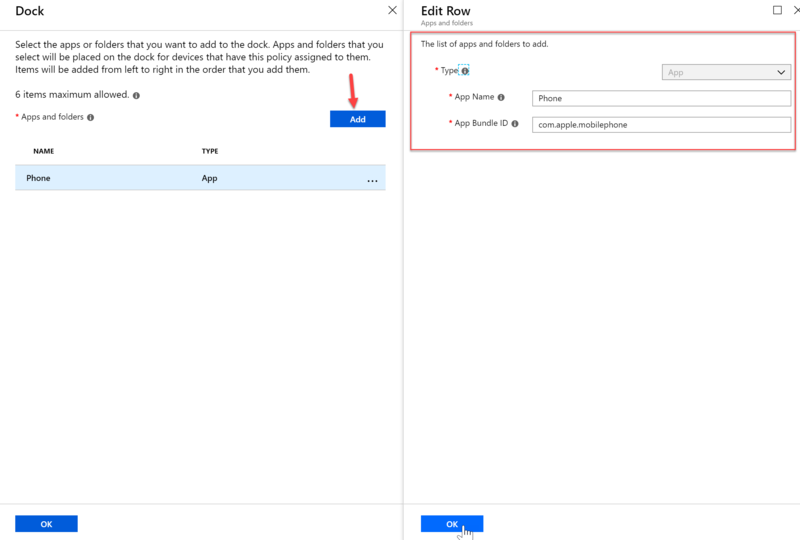 The Company Portal will only display applications that is relevant to the device they are on, if they are on an iPhone it will not display your published applications for Windows even if the device is in the same group. Great stuff man. Really solid, thorough work. 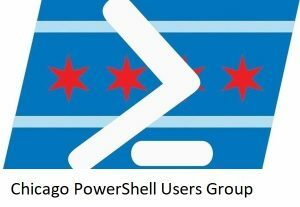 Defenitly bookmarking this one! Good guide, very clear. 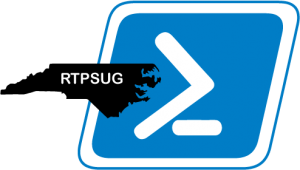 Very professional and details resource……!